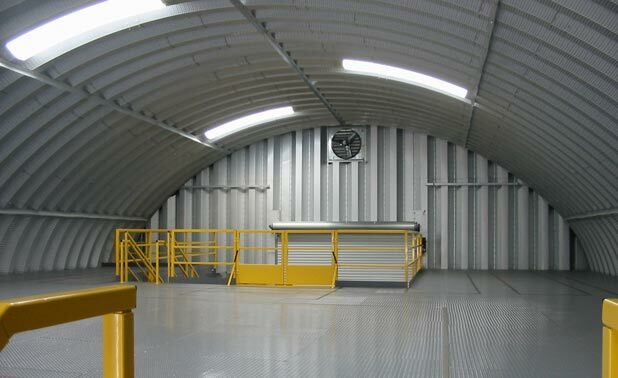 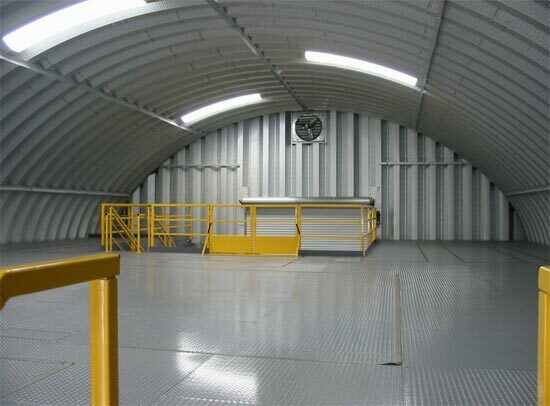 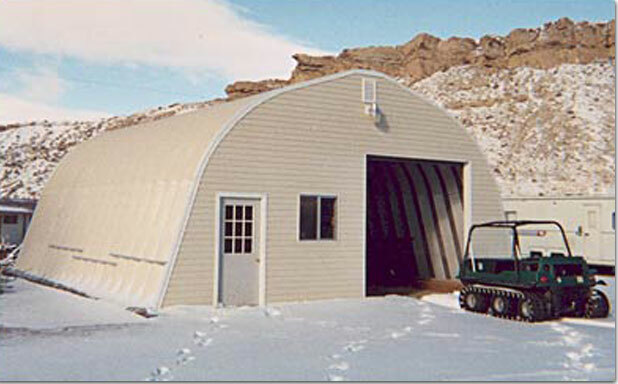 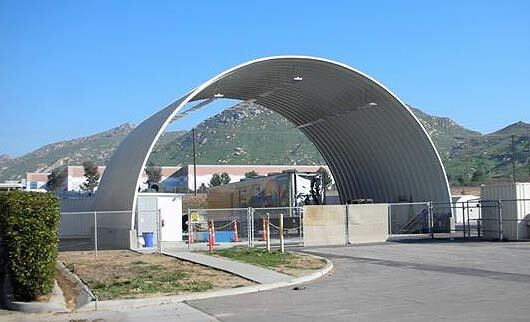 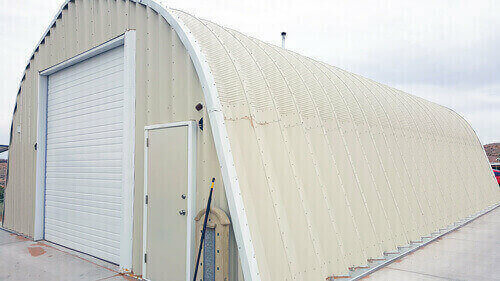 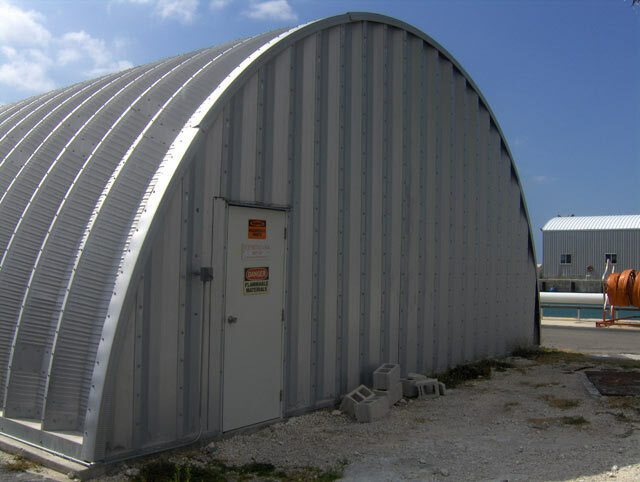 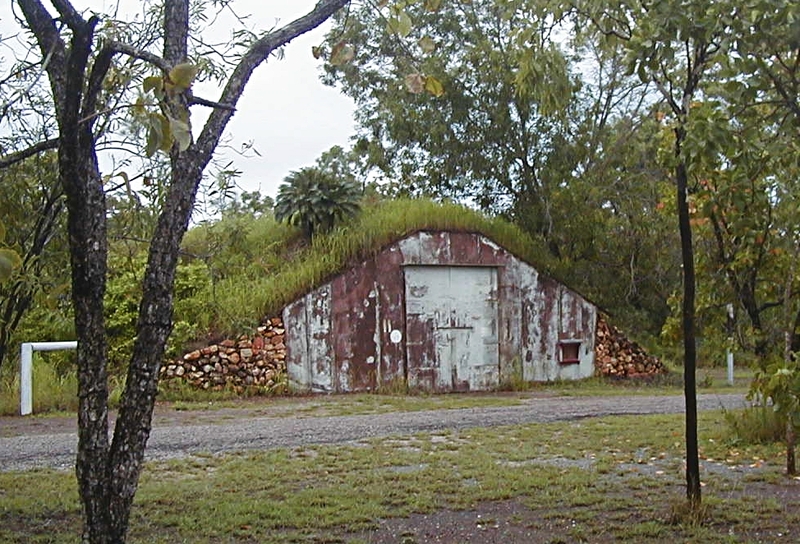 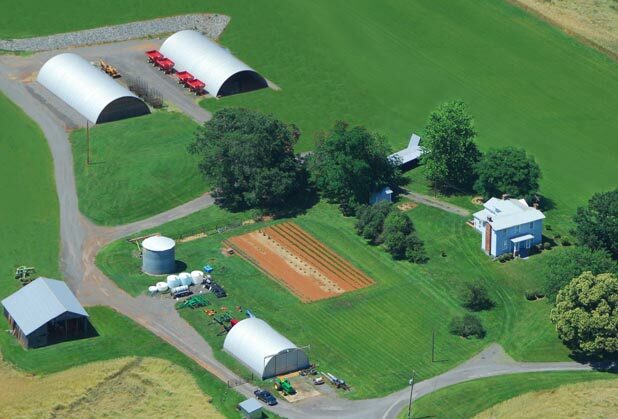 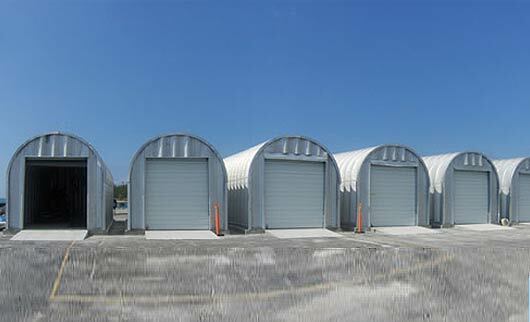 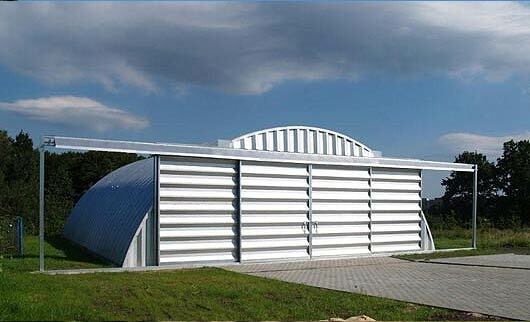 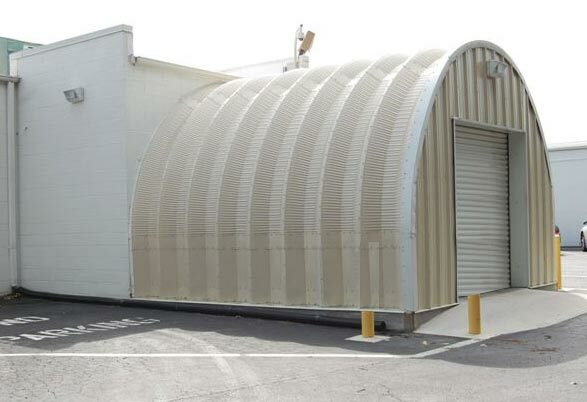 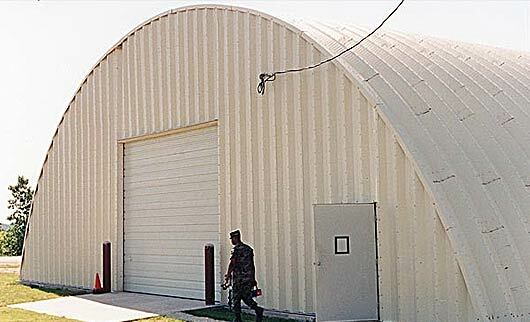 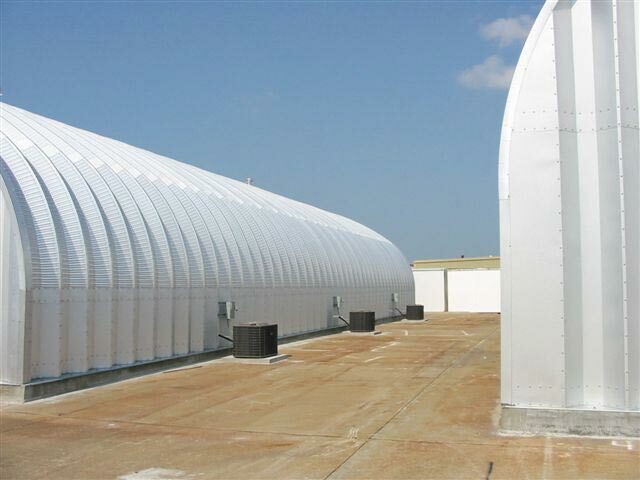 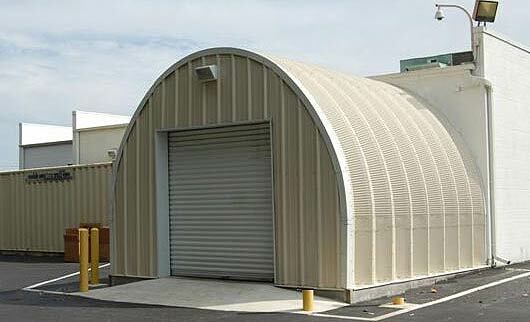 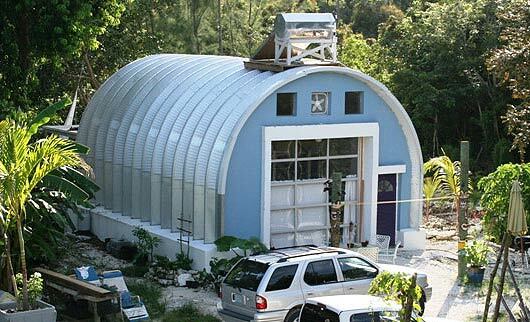 Prefab steel buildings provide space for all government and military needs. 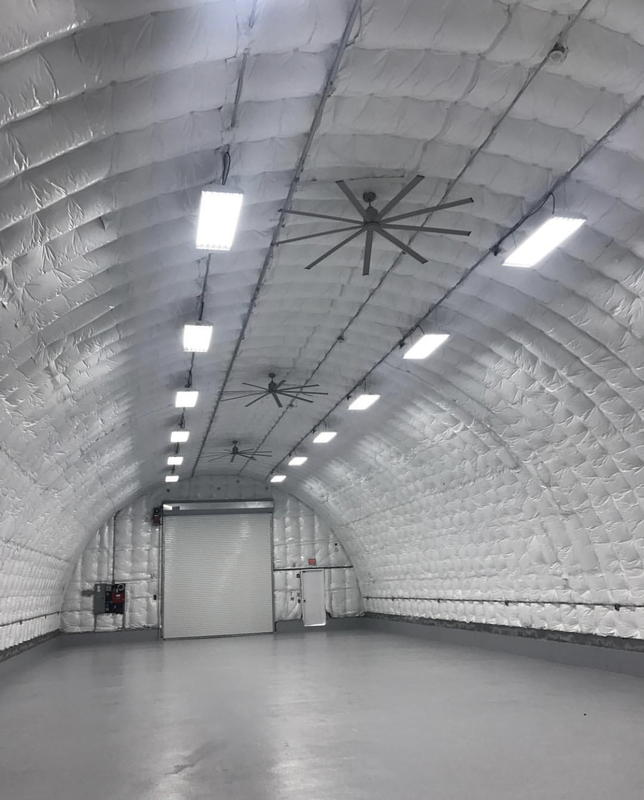 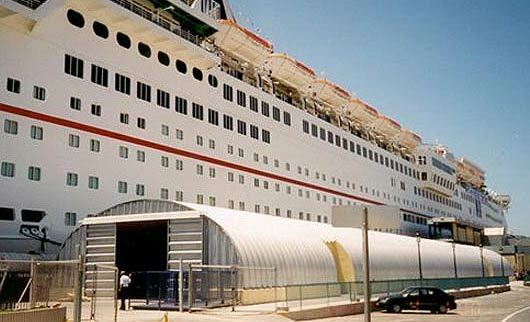 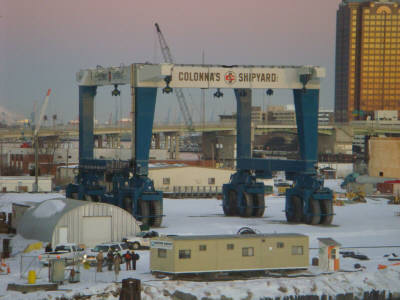 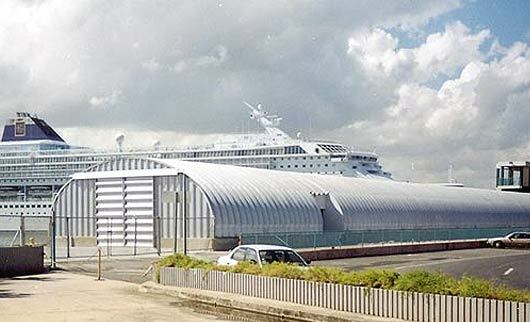 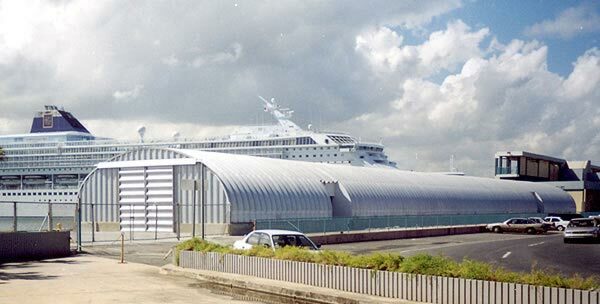 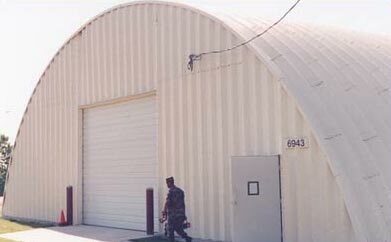 Whether its a steel gymnasium for Naval Special Warfare in Virginia, or a metal, fire and emergency facility in Louisiana, salt storage facility in the town of Bristol, Rhode Island, the Federal Prison System in Kentucky or the US Coast Guard in Portsmouth, VA our customized government buildings withstand the harshest elements on Earth. 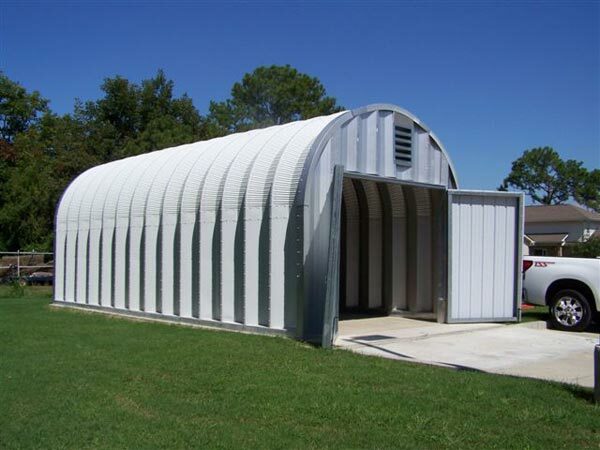 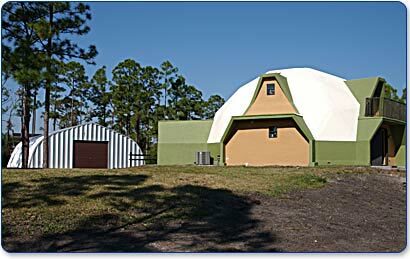 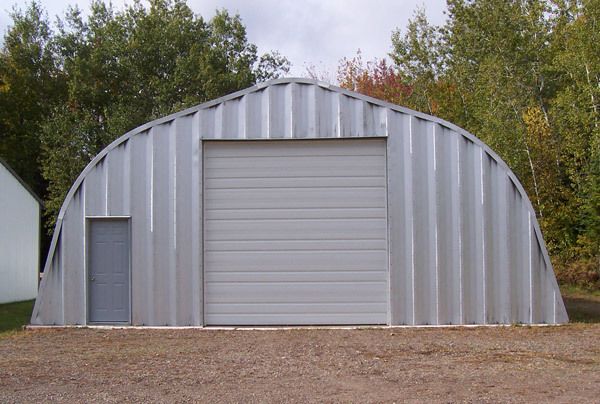 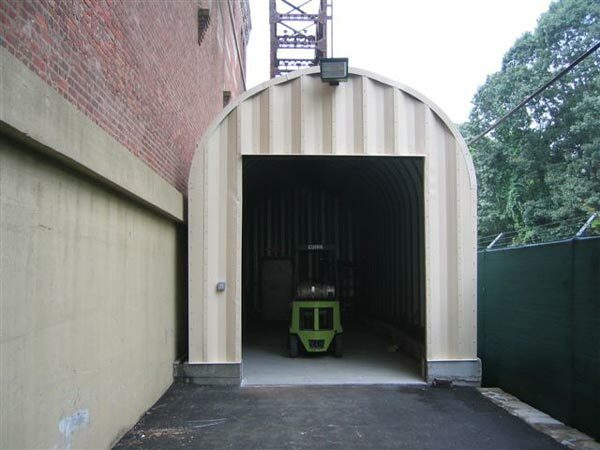 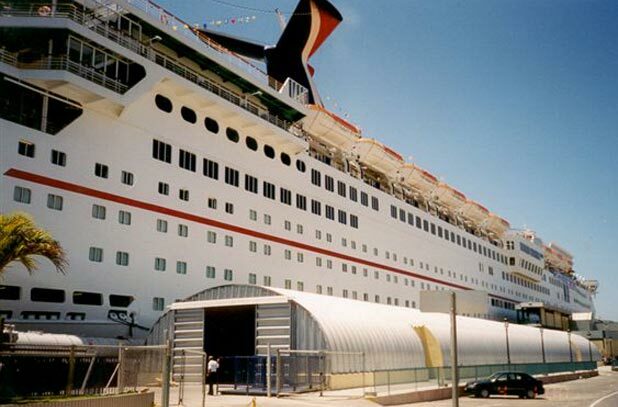 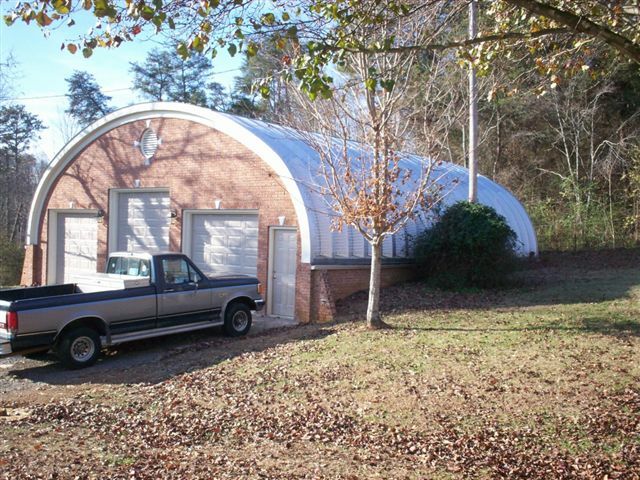 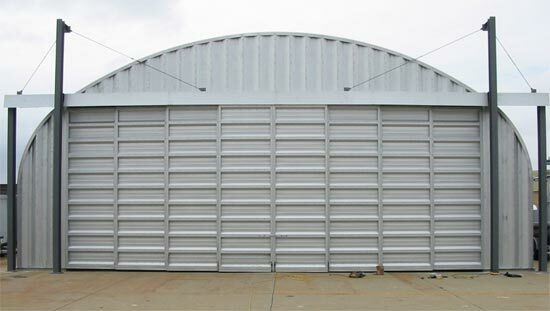 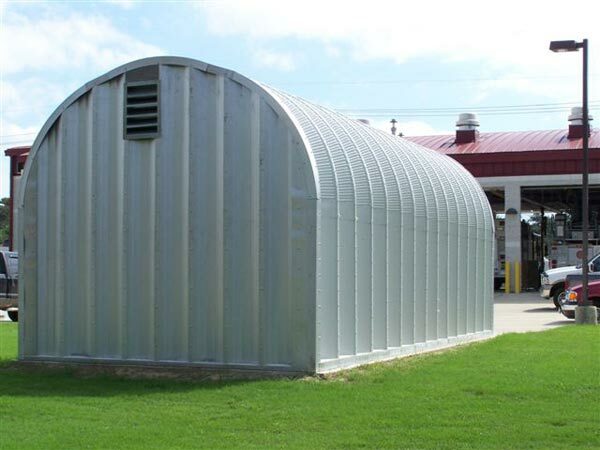 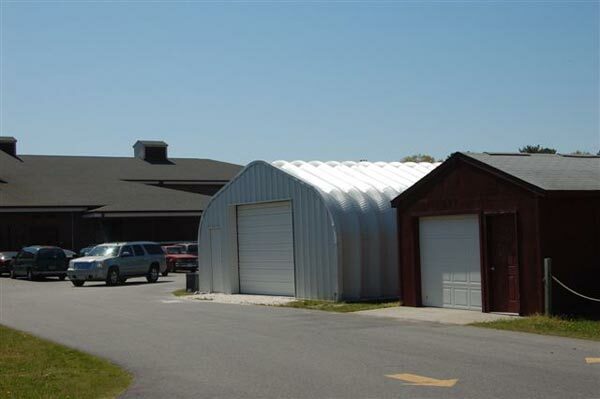 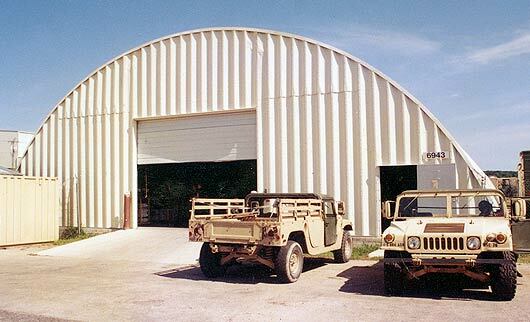 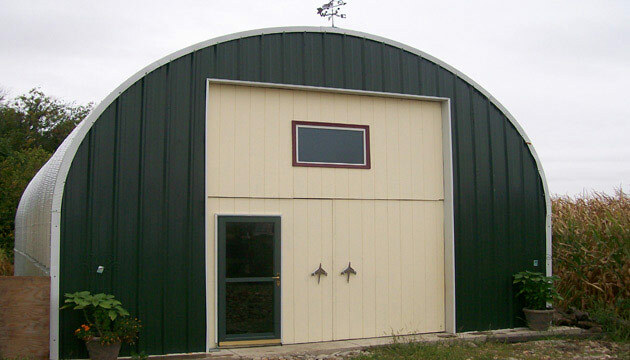 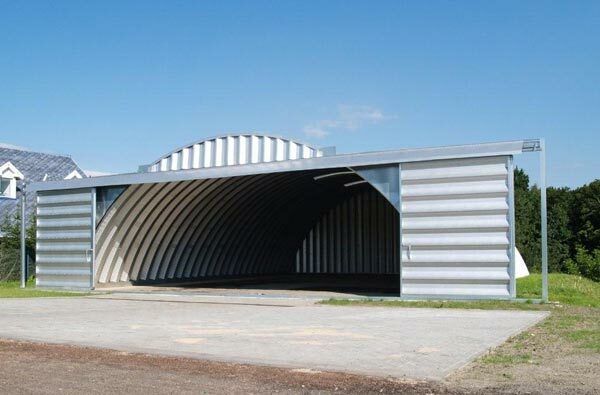 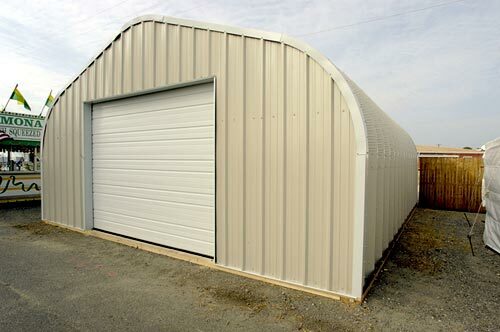 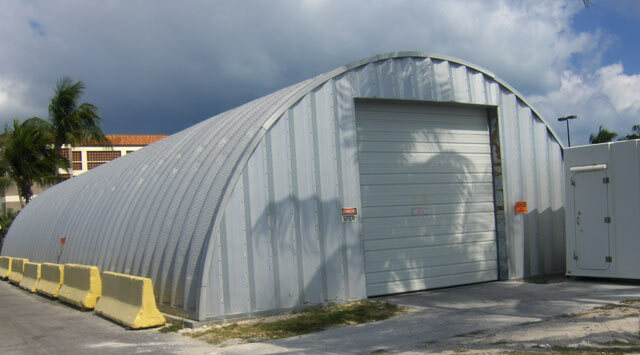 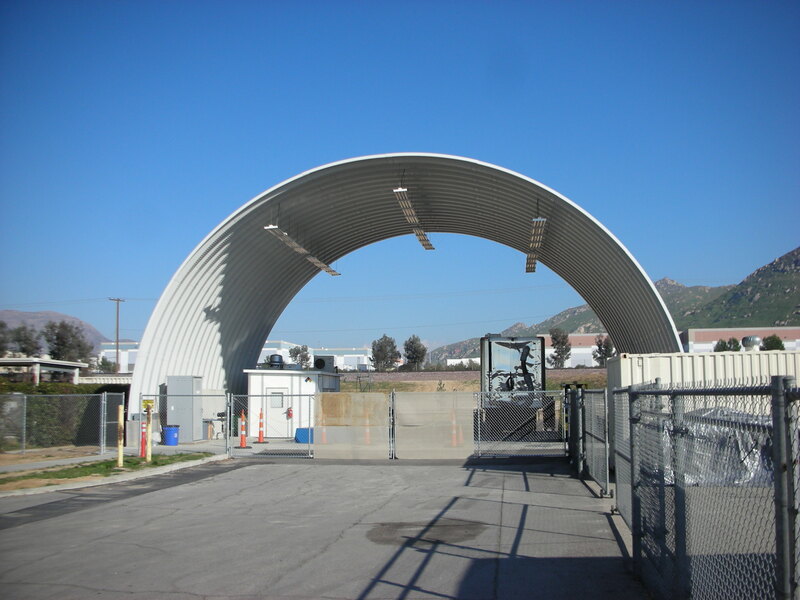 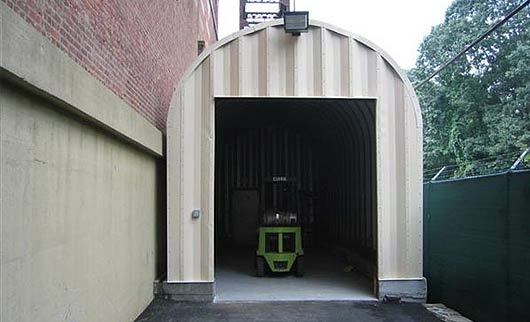 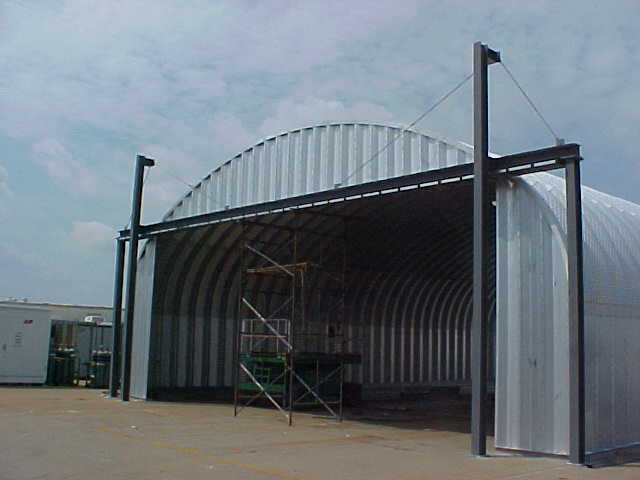 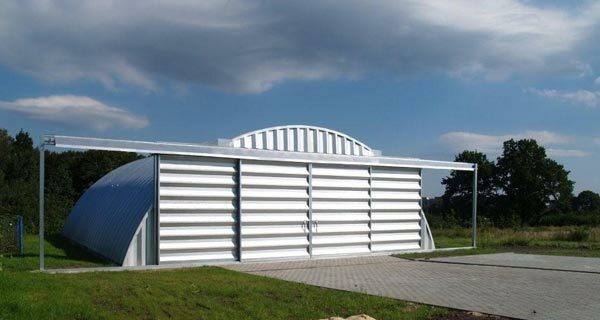 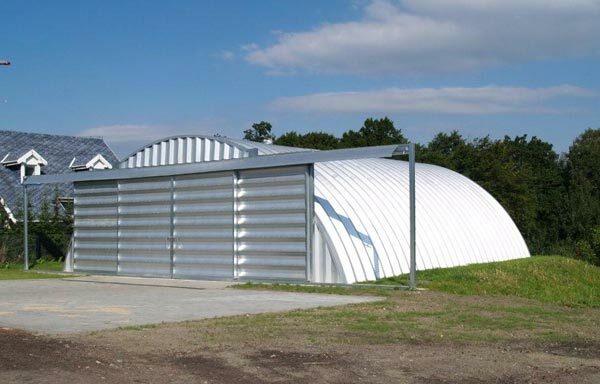 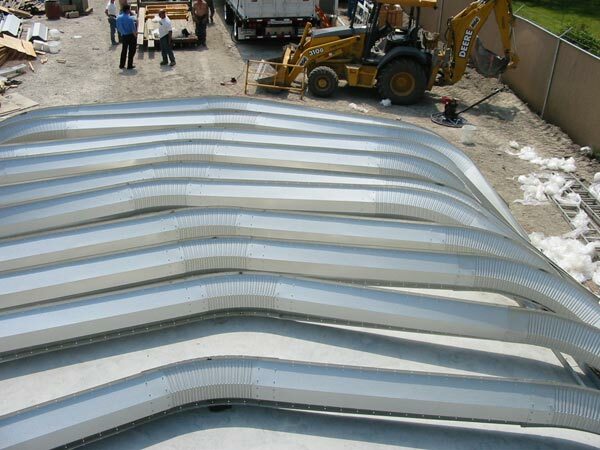 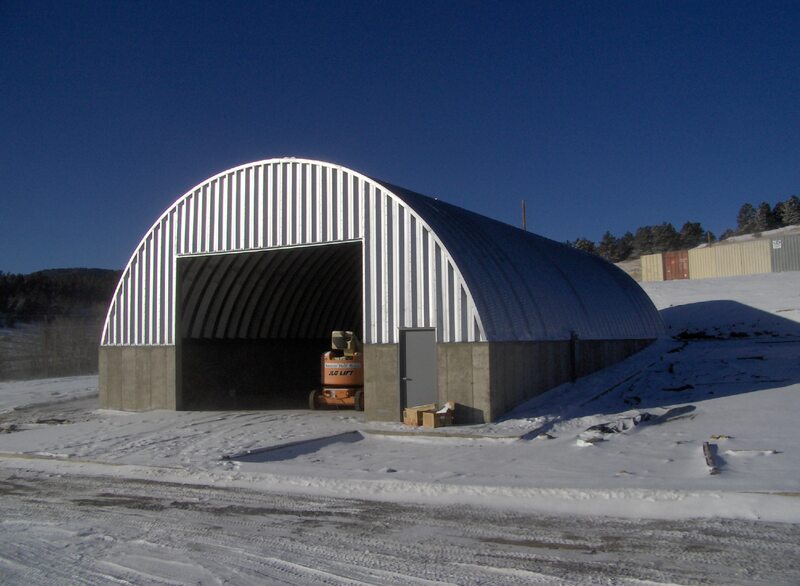 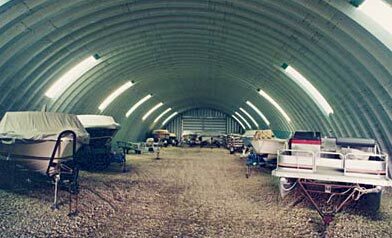 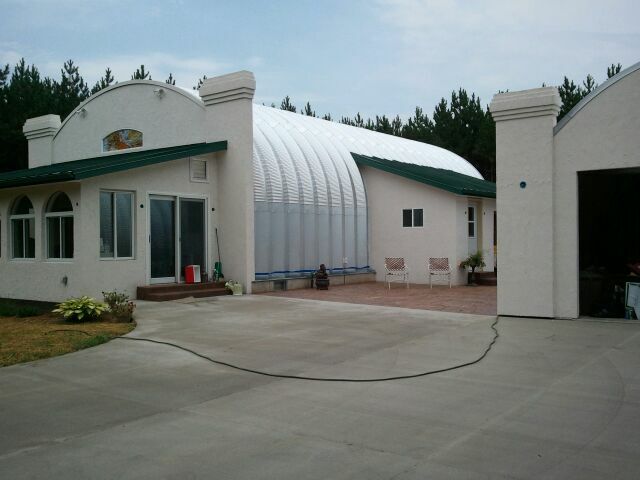 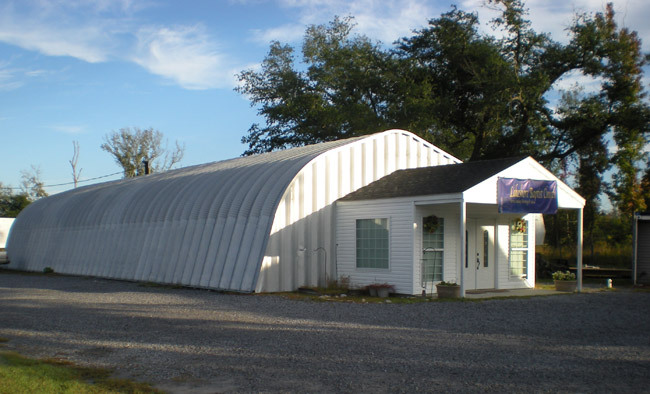 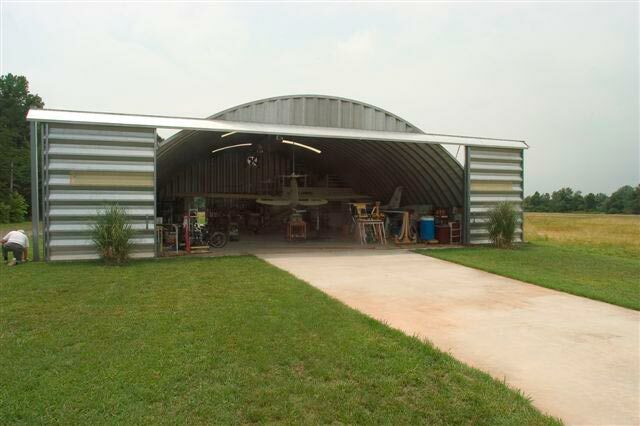 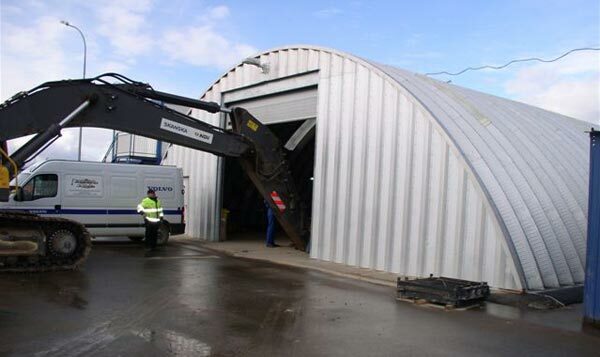 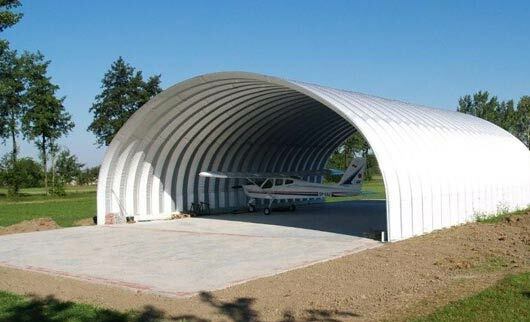 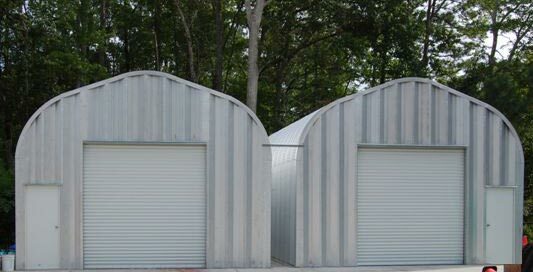 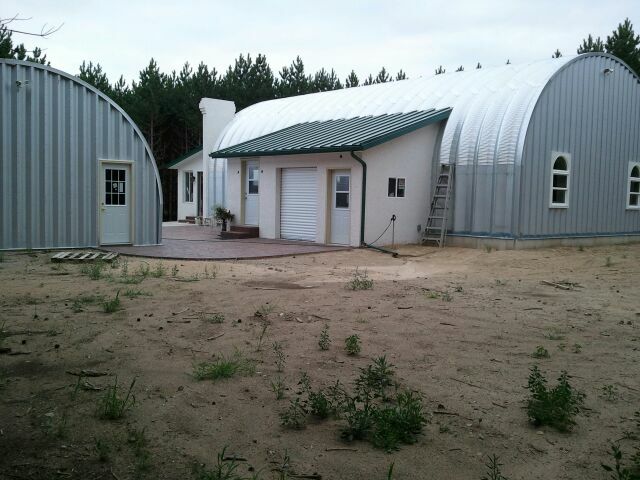 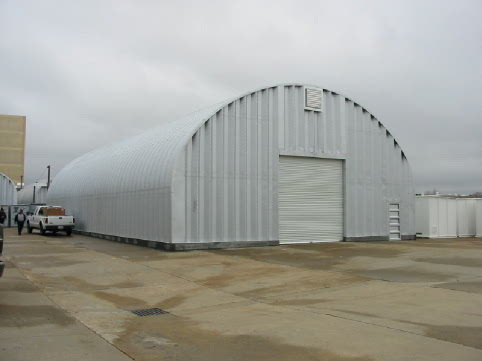 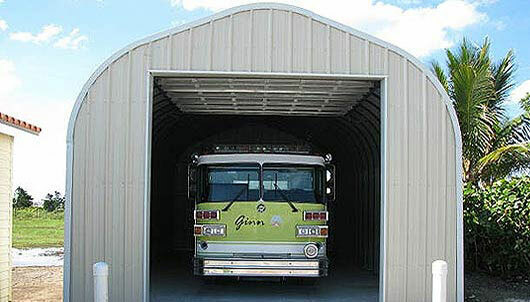 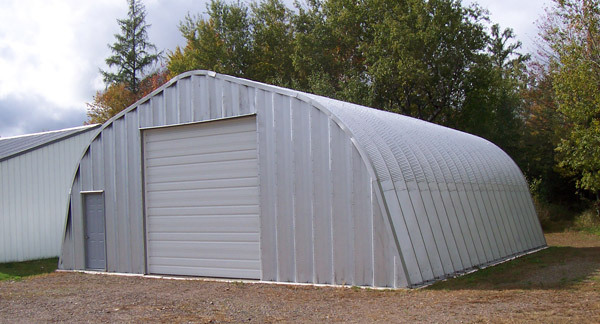 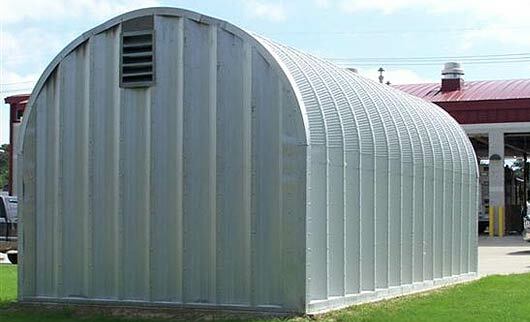 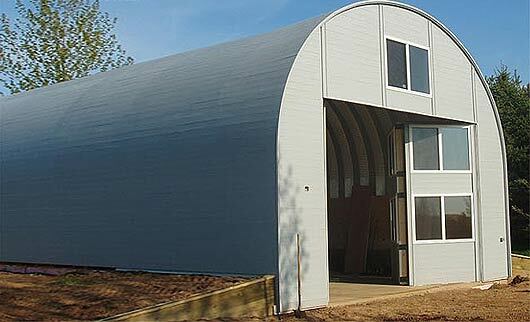 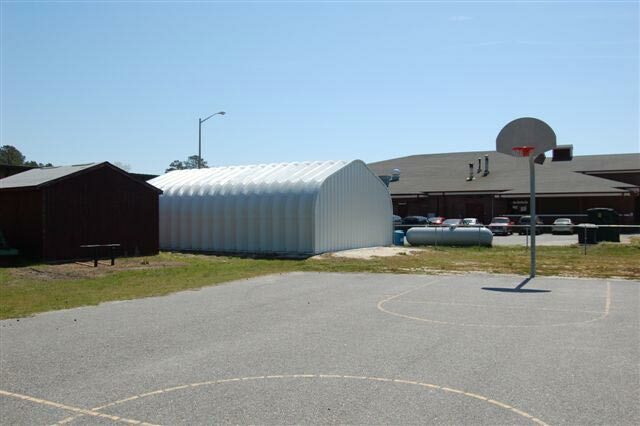 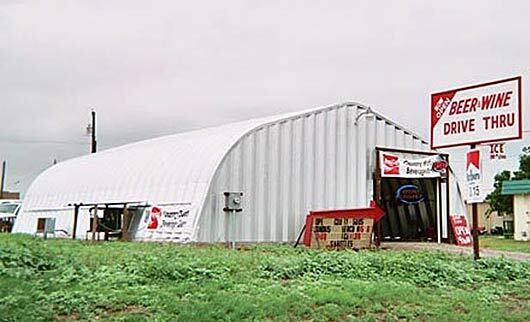 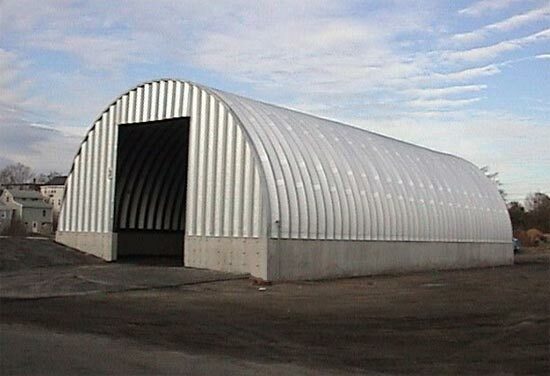 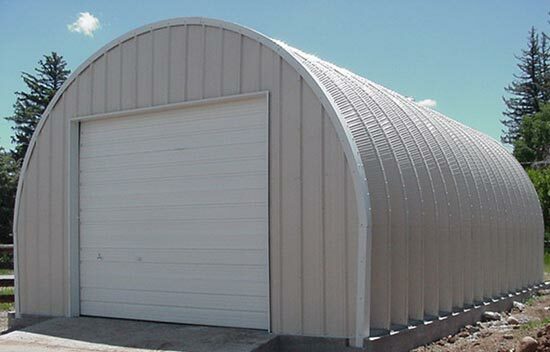 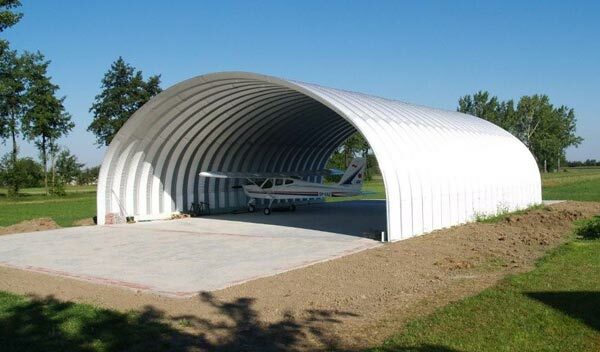 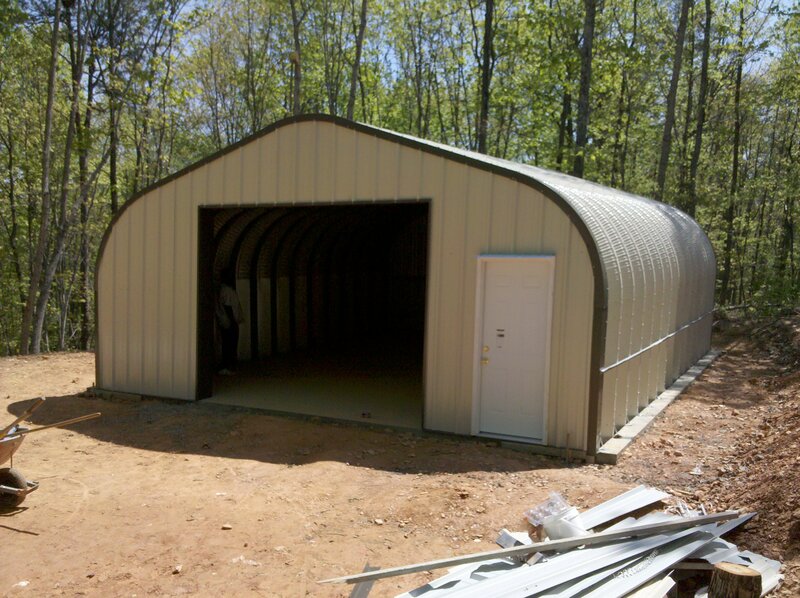 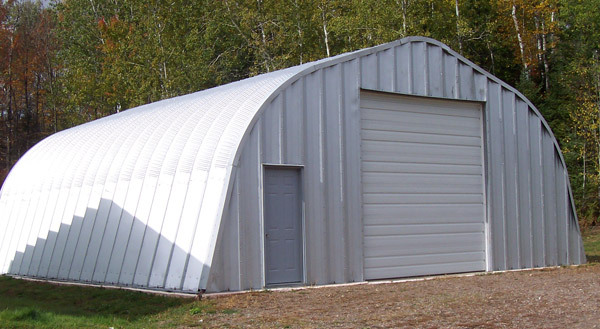 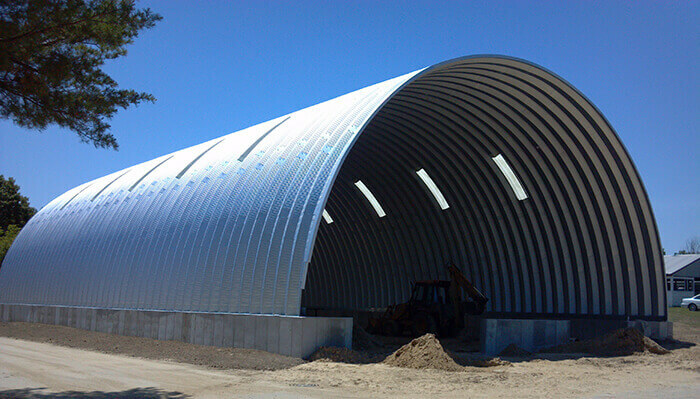 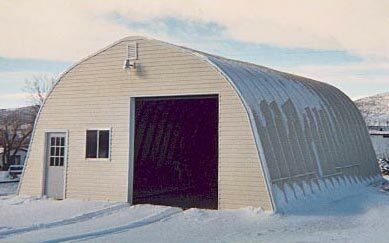 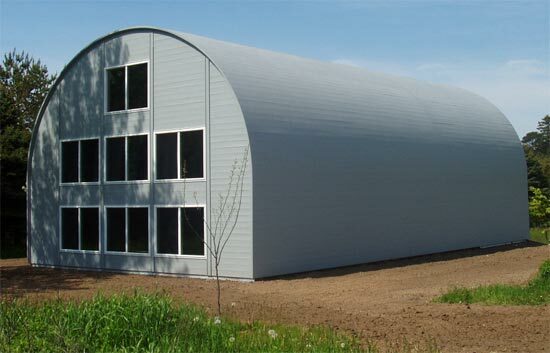 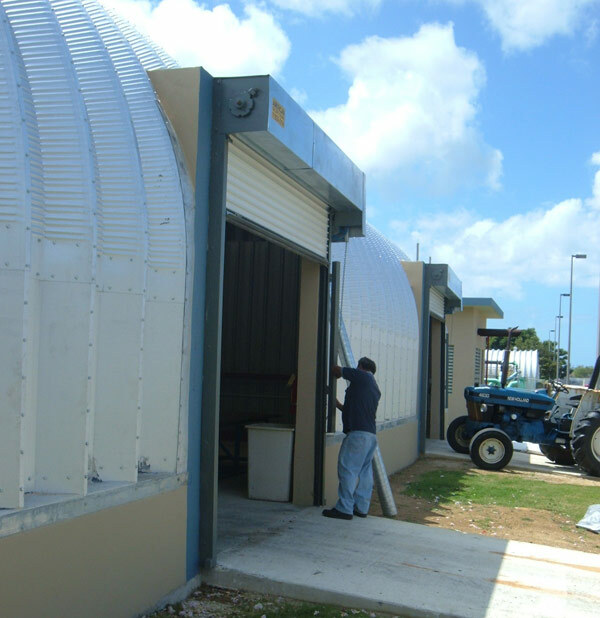 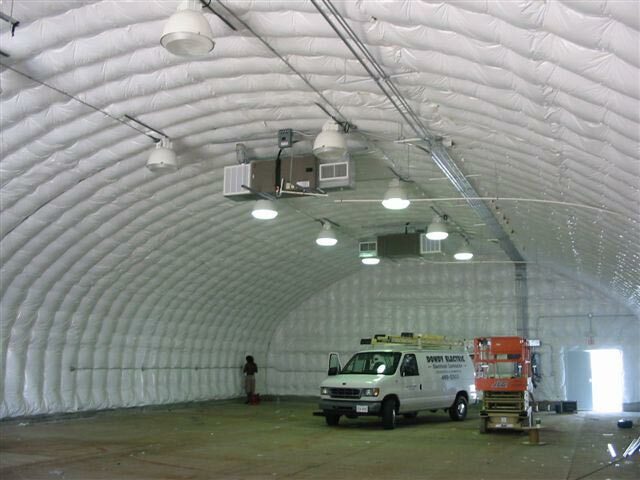 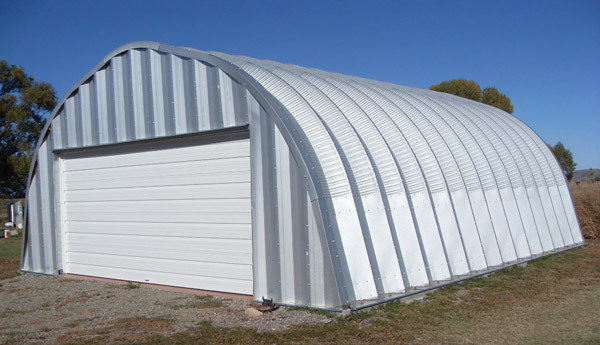 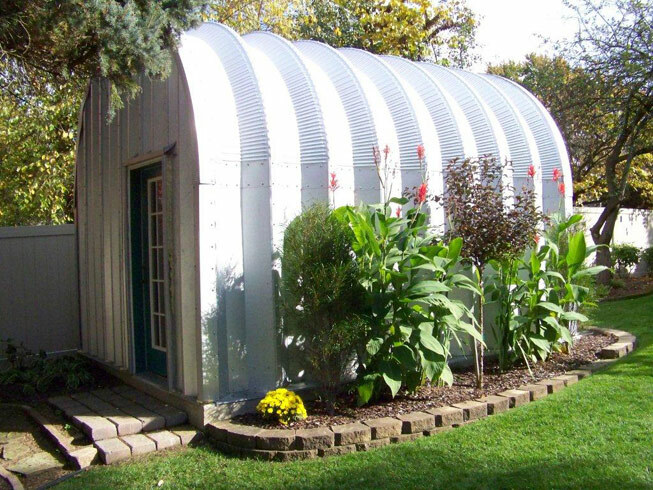 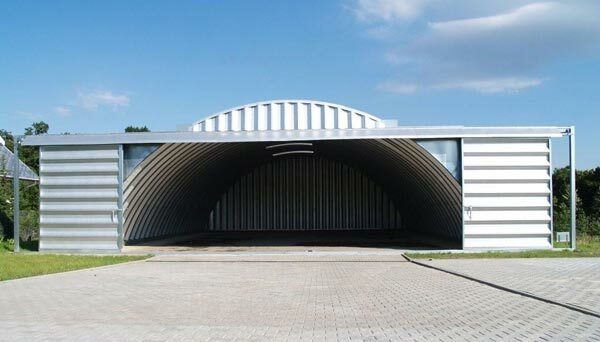 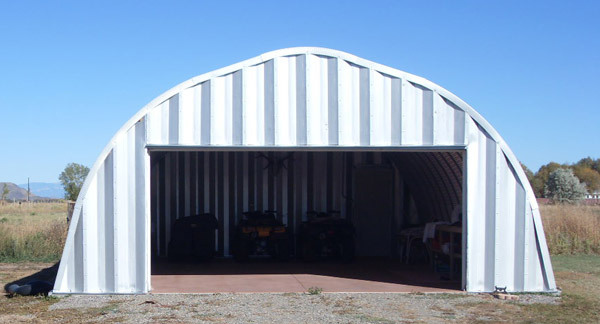 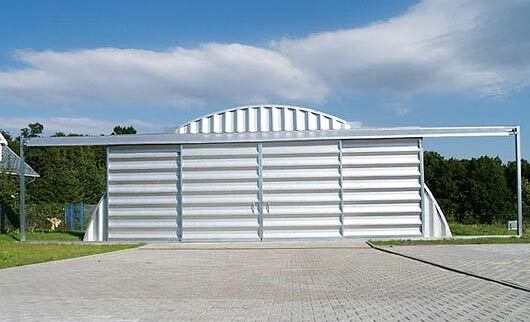 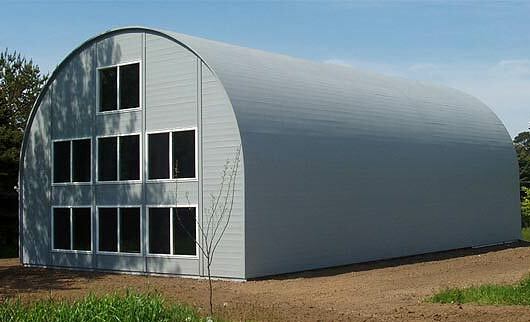 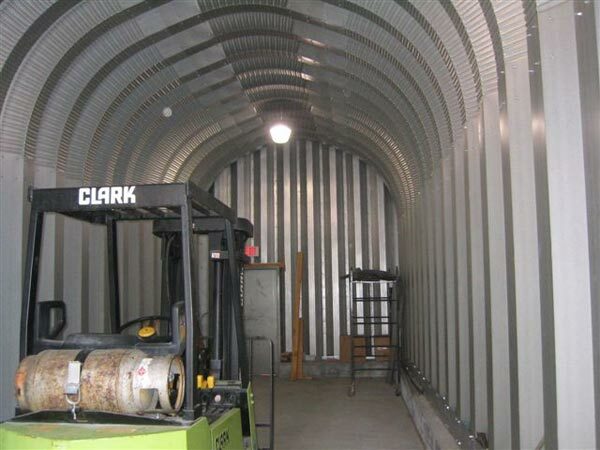 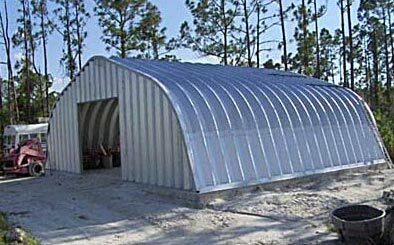 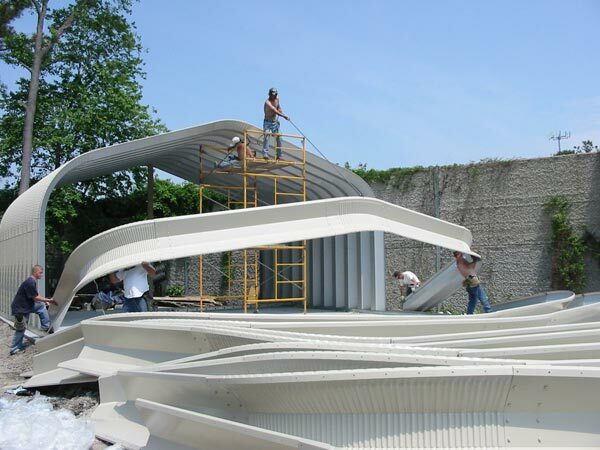 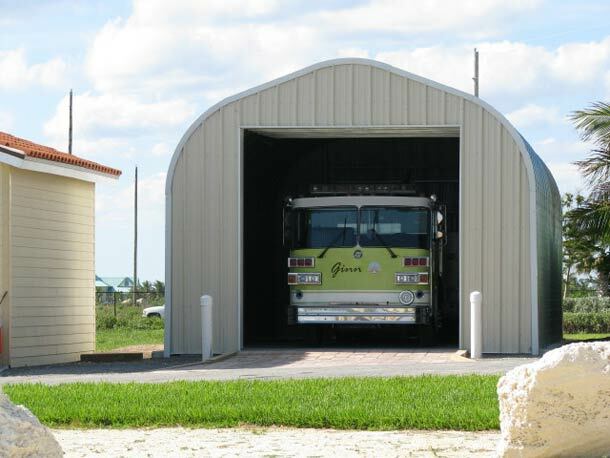 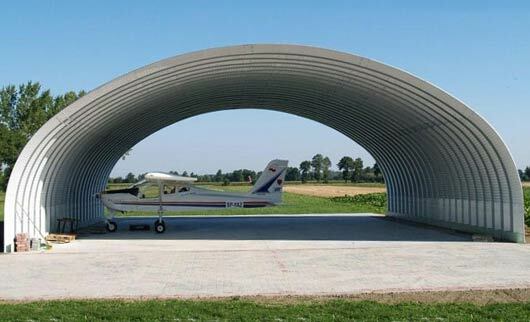 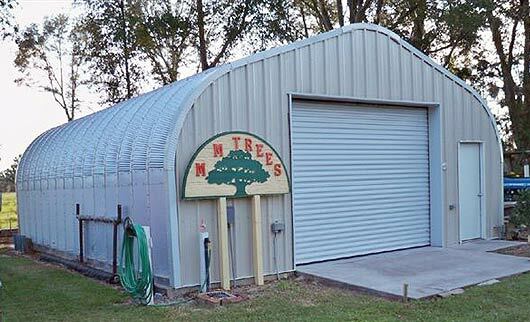 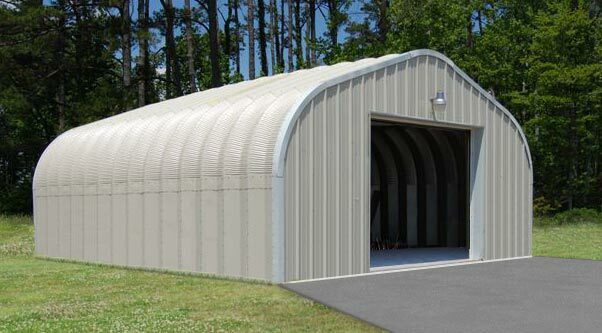 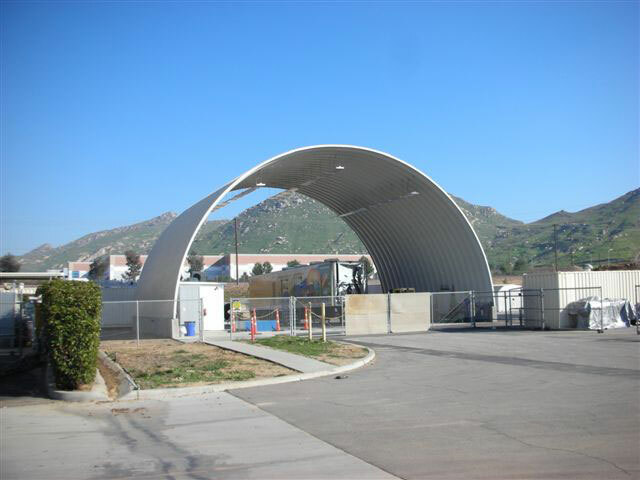 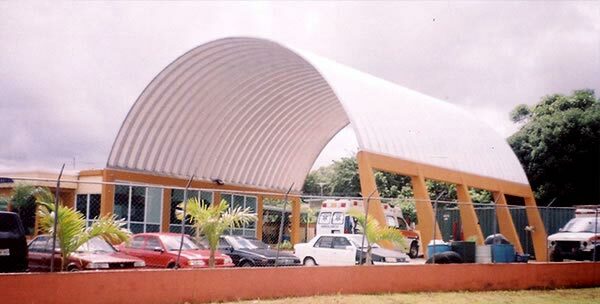 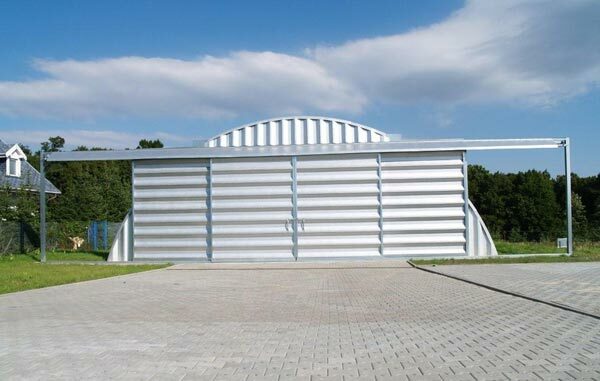 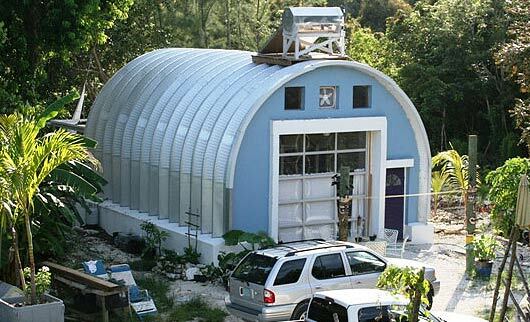 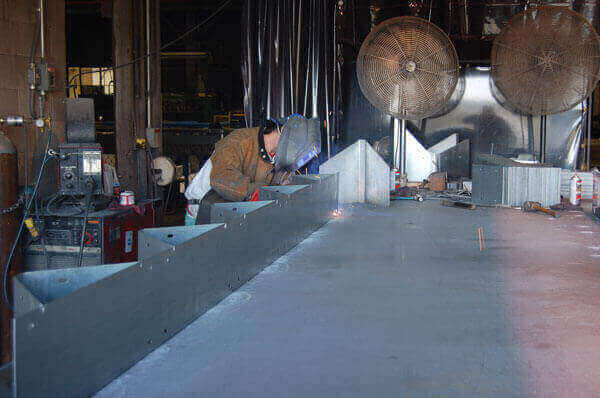 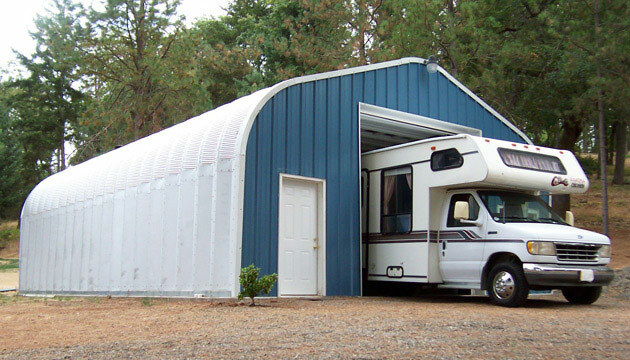 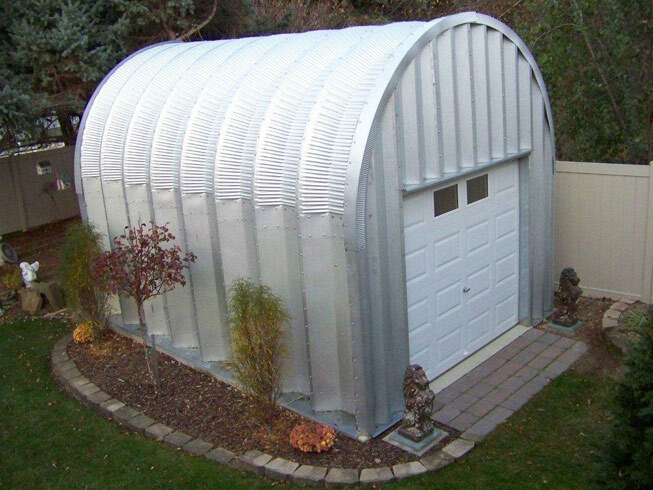 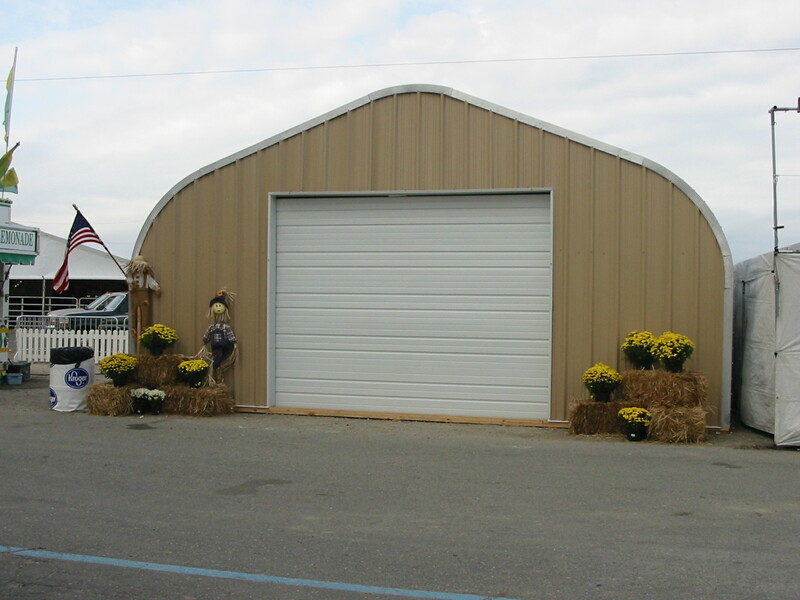 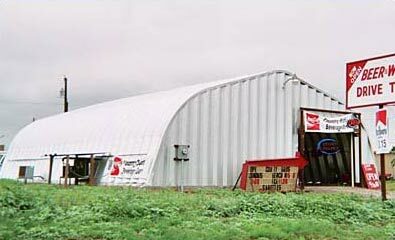 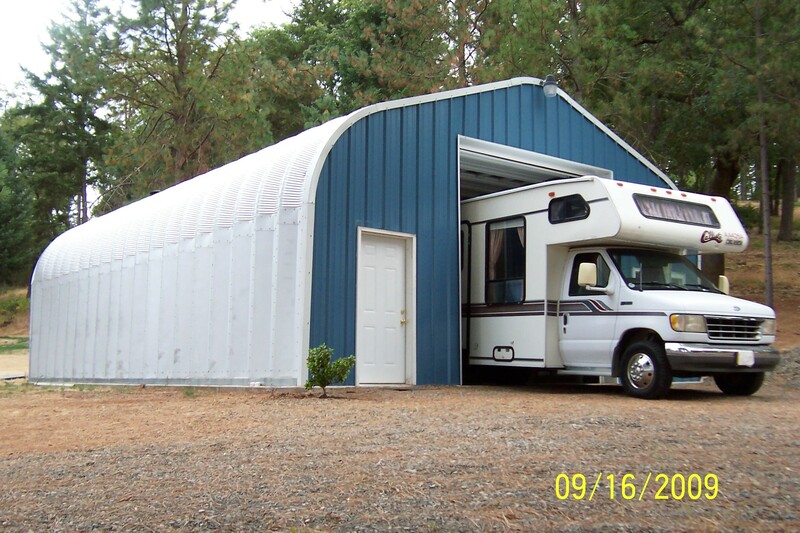 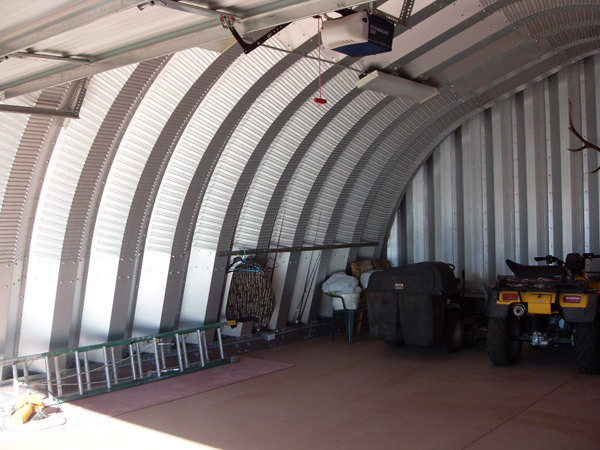 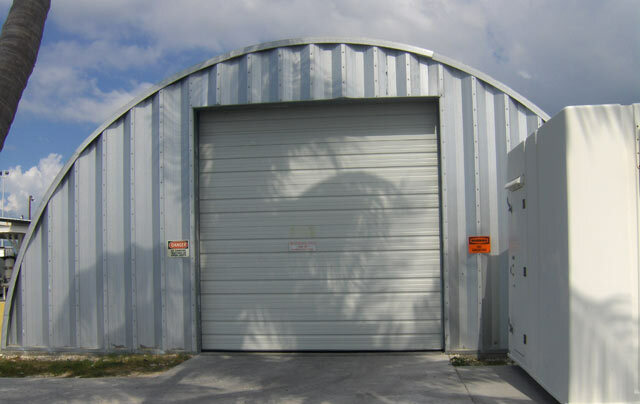 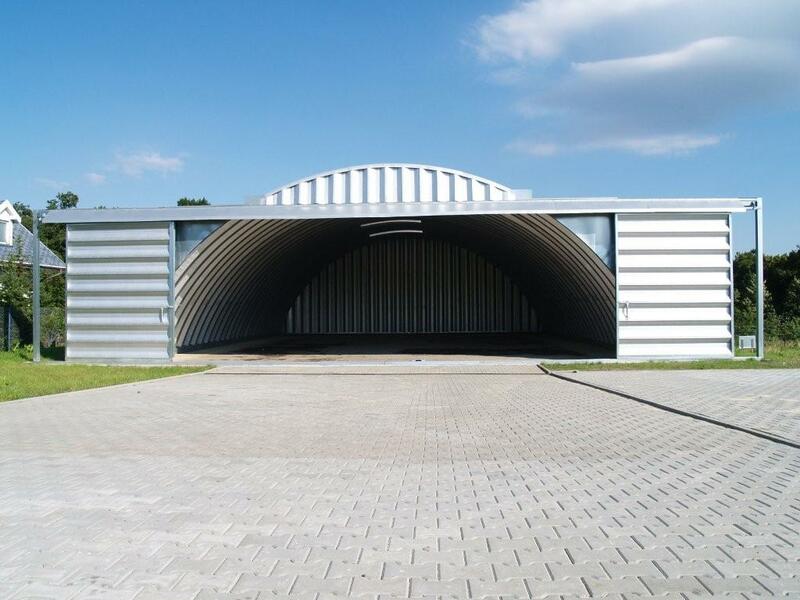 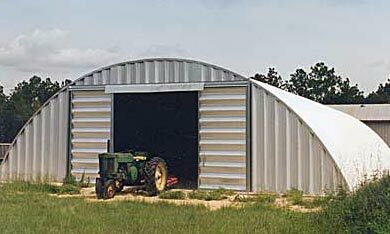 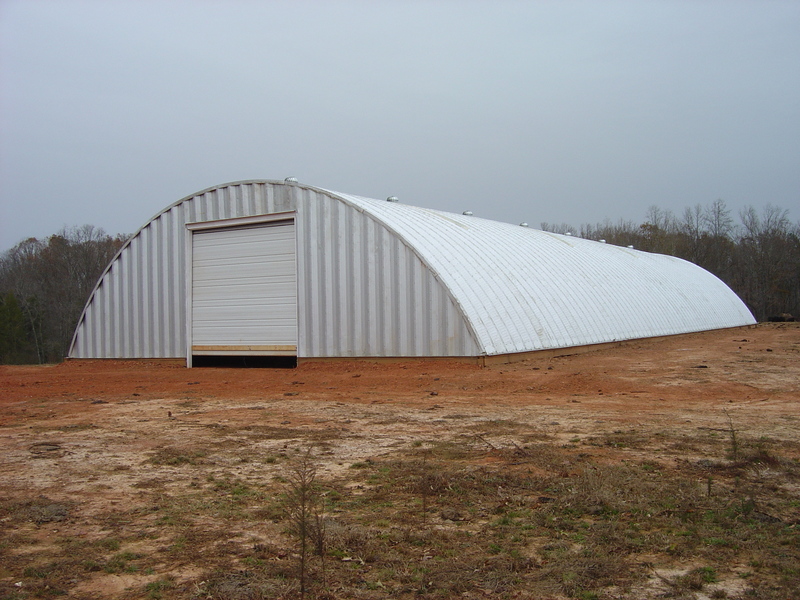 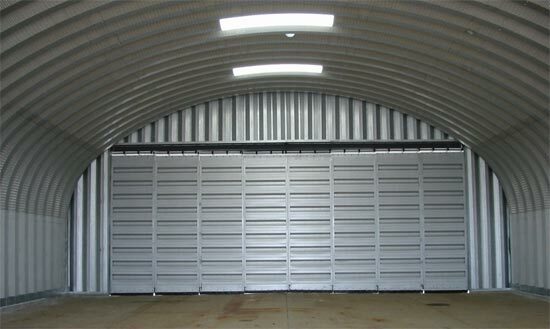 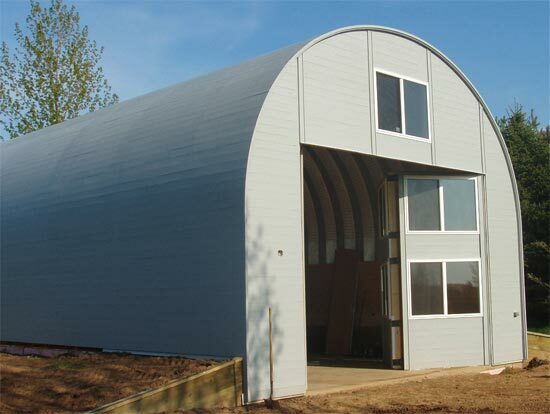 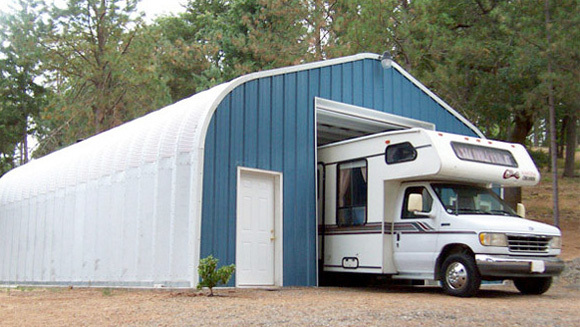 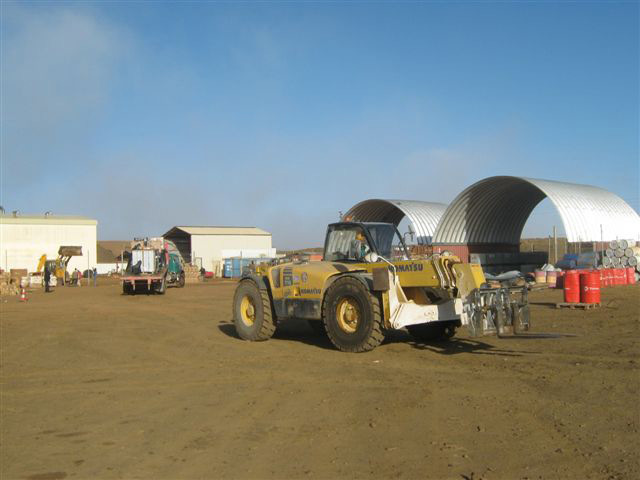 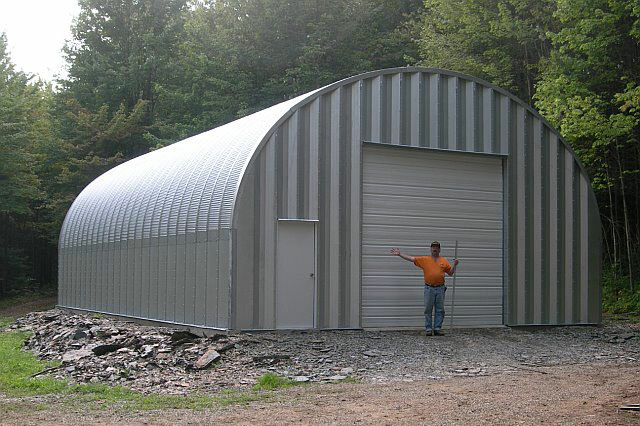 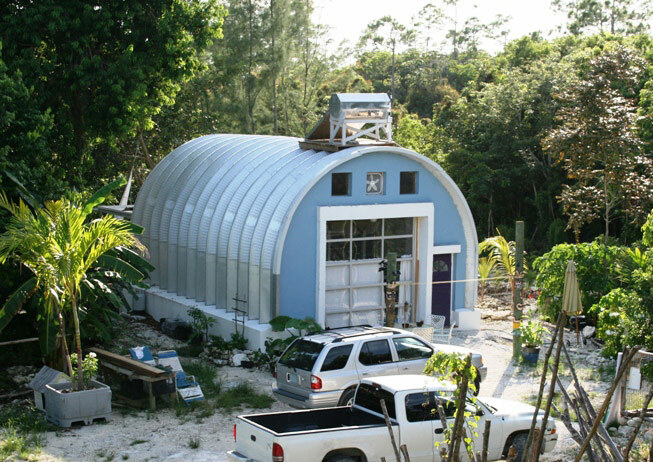 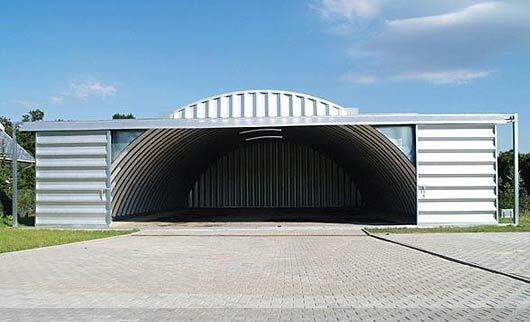 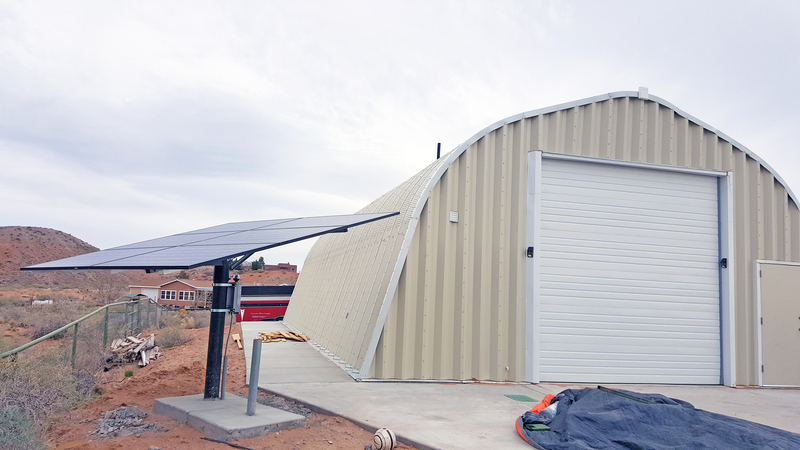 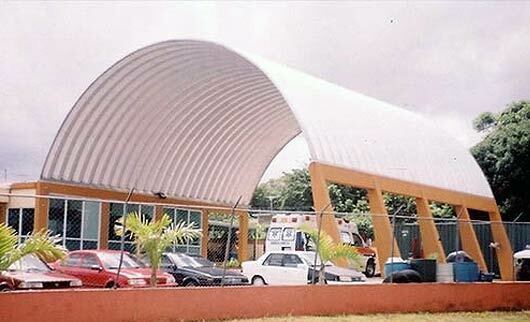 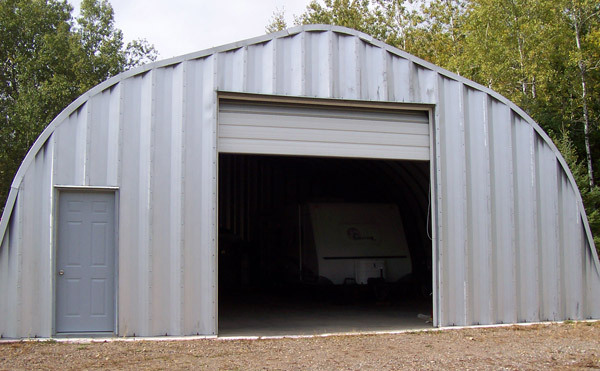 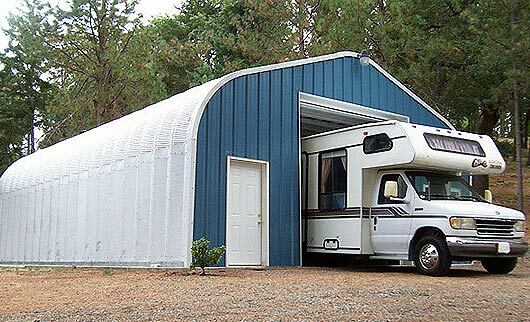 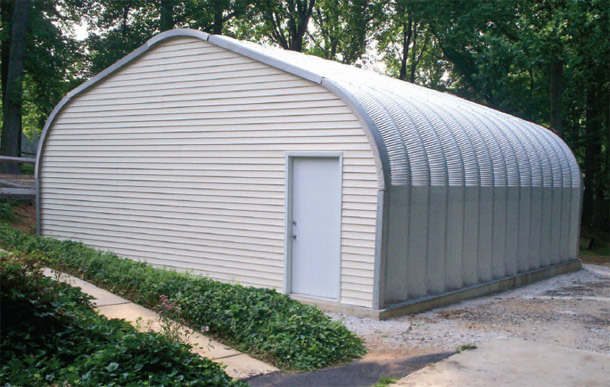 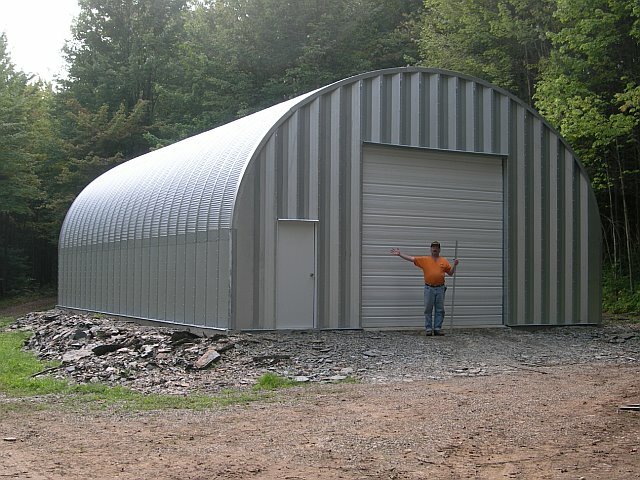 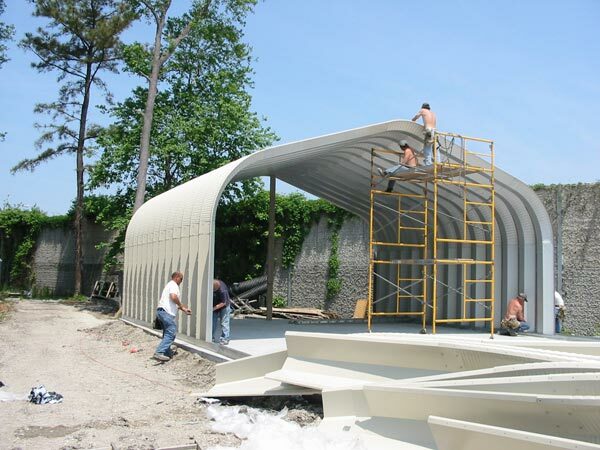 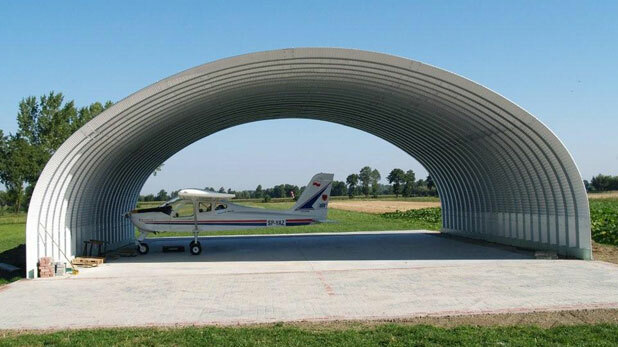 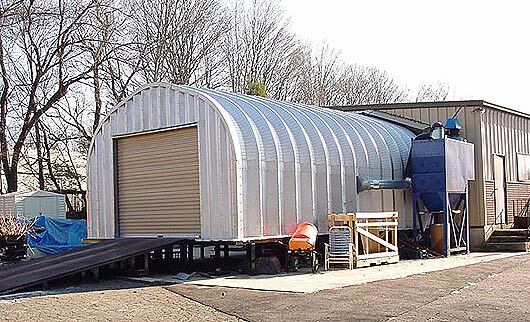 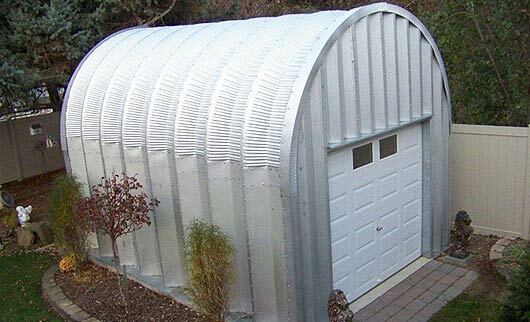 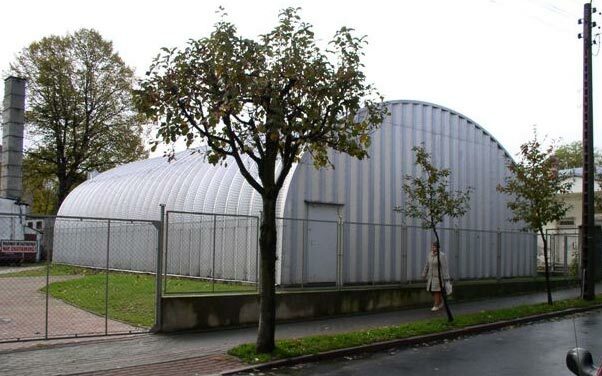 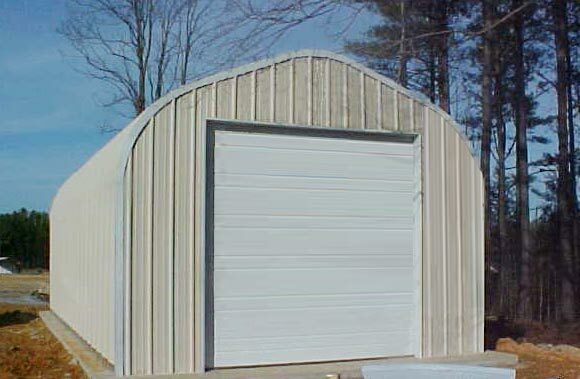 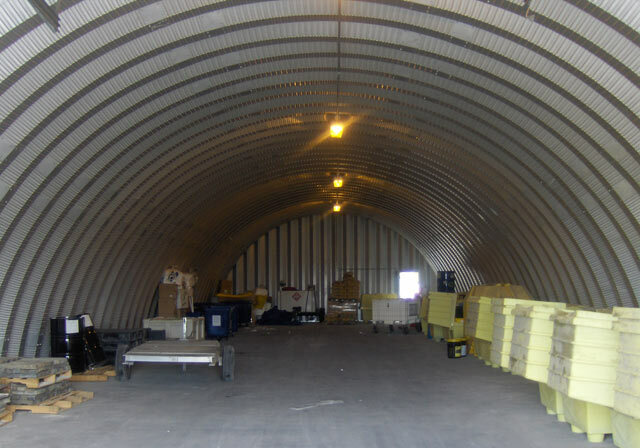 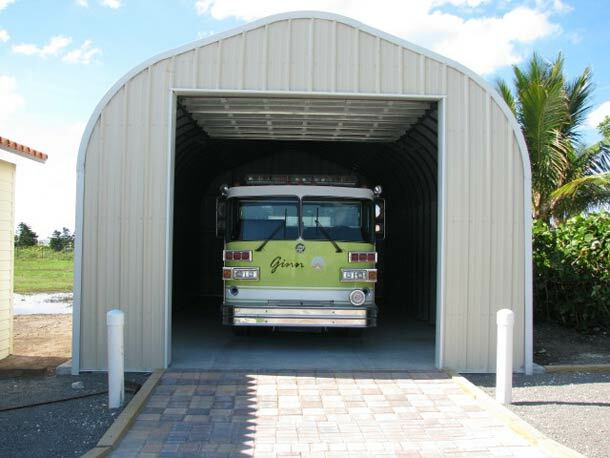 Prefab steel buildings (steel arch buildings) are used for barracks, boat barns, golf cart sheds, municipal buildings, heavy equipment storage, mobile diving and salvage equipment and too many others to list, our solid steel construction buildings are perfect for tight budgets on quick timelines. 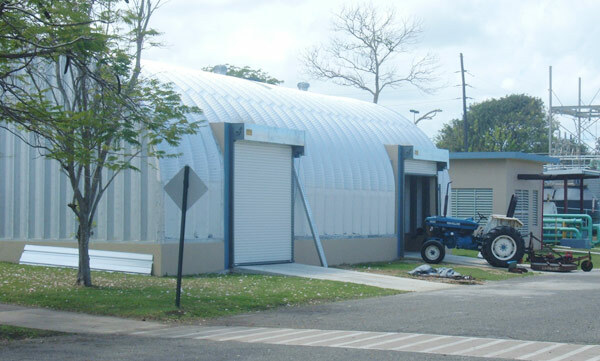 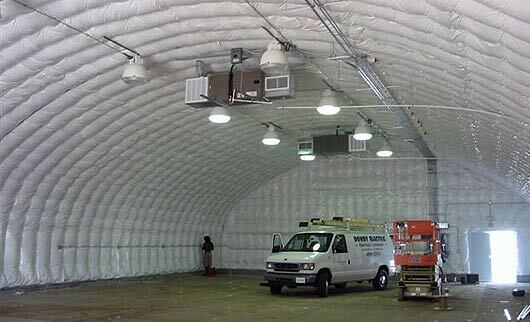 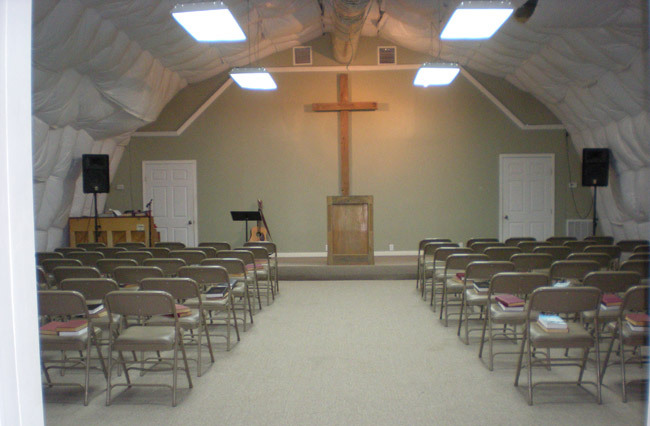 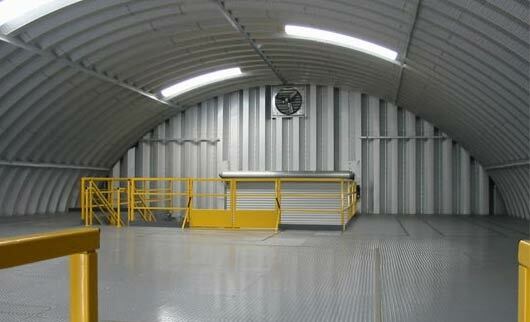 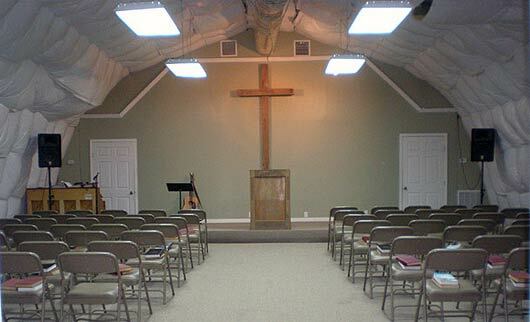 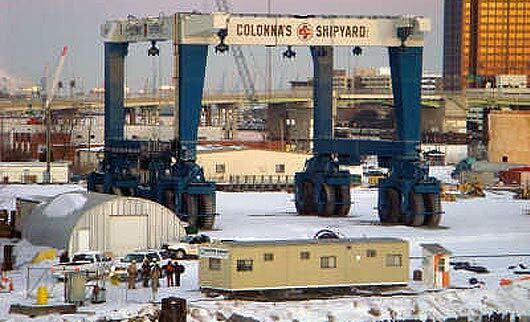 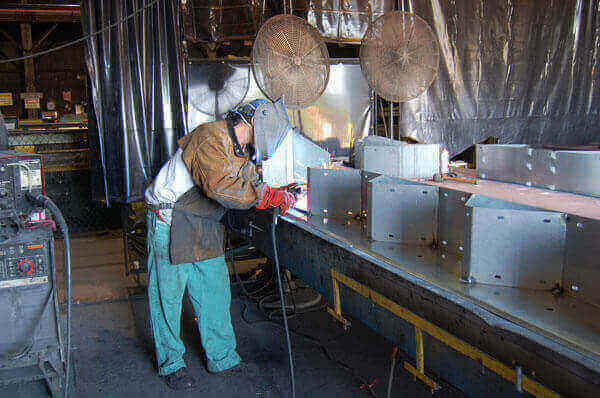 These durable prefab steel buildings are rapidly erectable light mobile or portable structures. 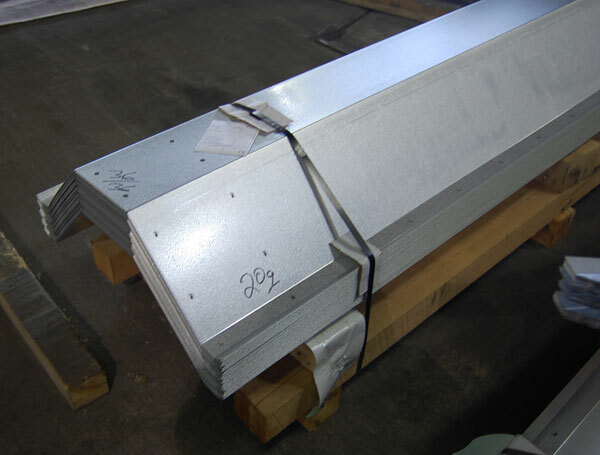 Rapid construction can be achieved with the use of our special base connectors. 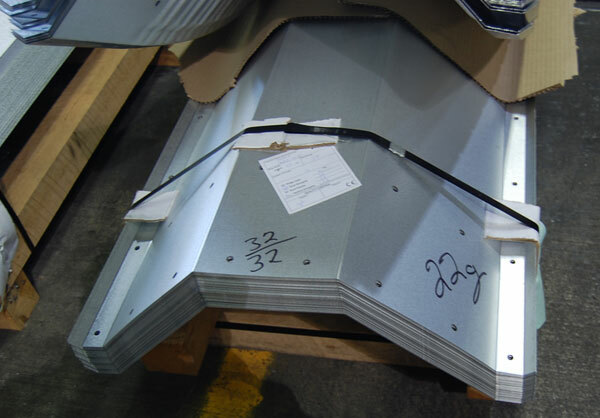 They are packaged together on small skids that can be easily transported overseas. 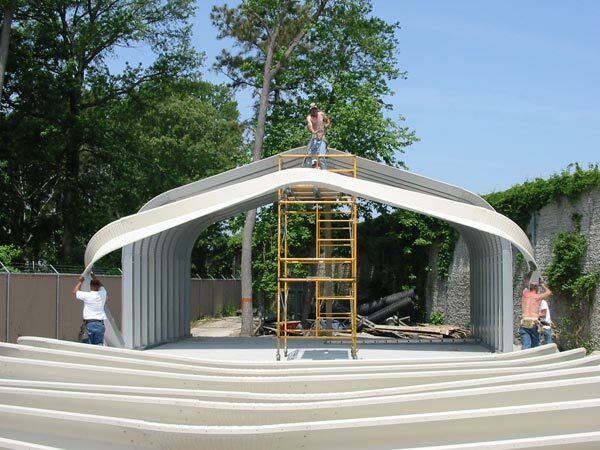 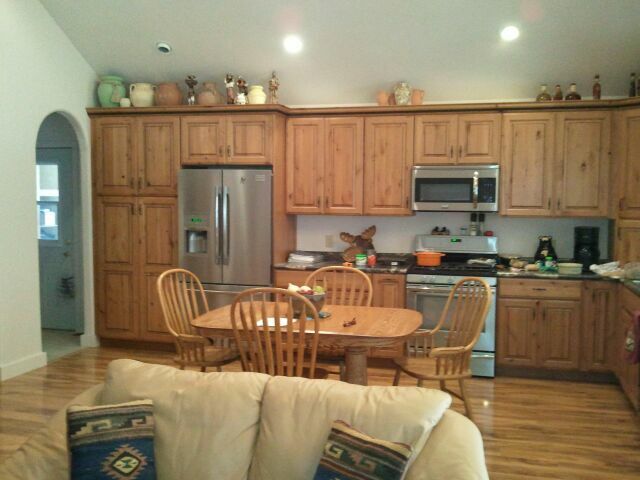 By simply bolting the panels together, construction and erection can be done with as little as three to four people. 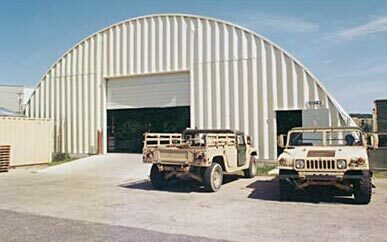 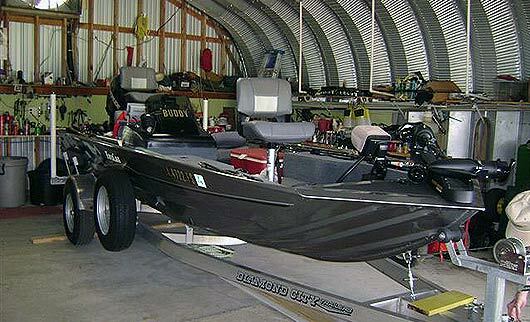 All of Powerbilt government and military steel building shipments include an easy-to-follow assembly manual. 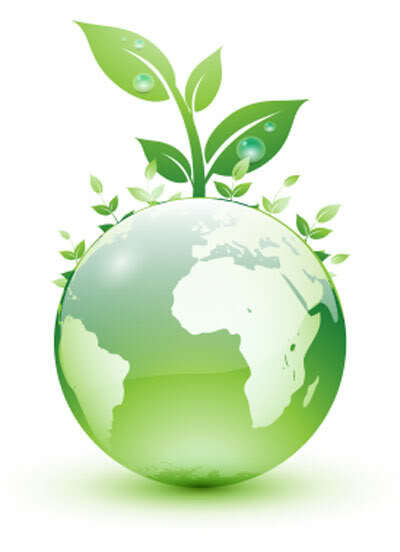 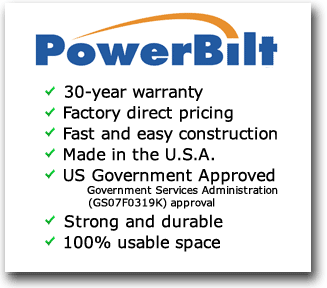 Contact Us for Contract Terms. 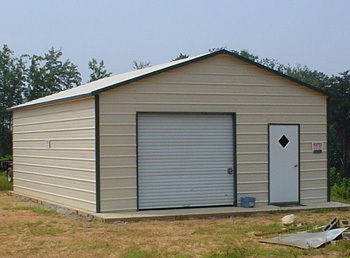 Request an online quote for your new building now! 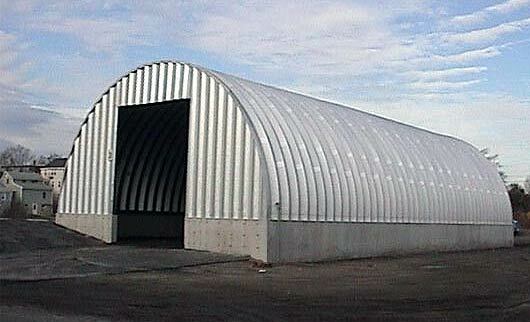 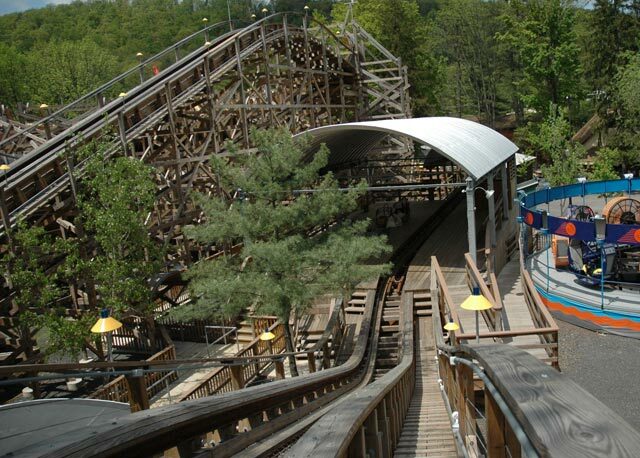 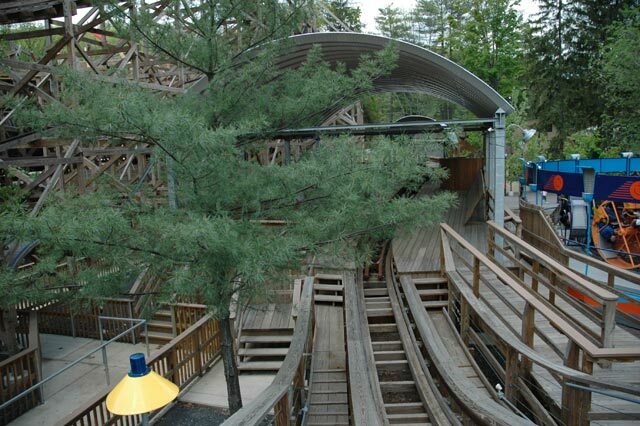 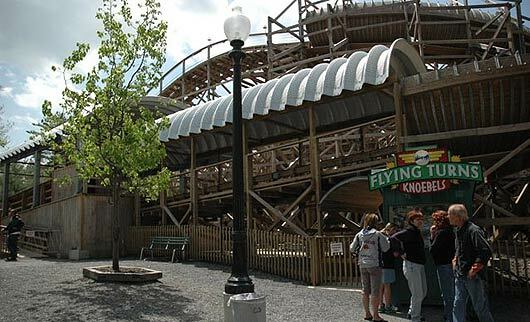 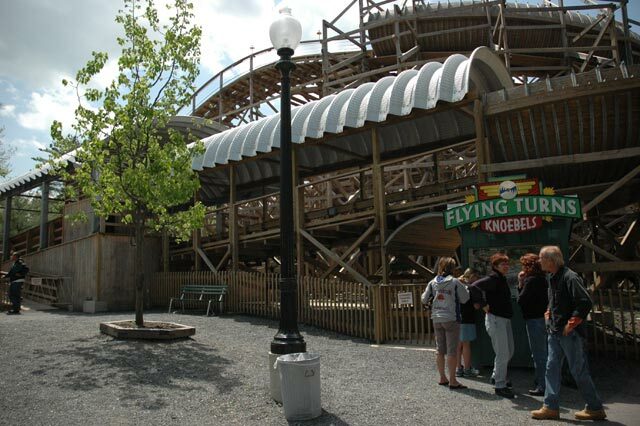 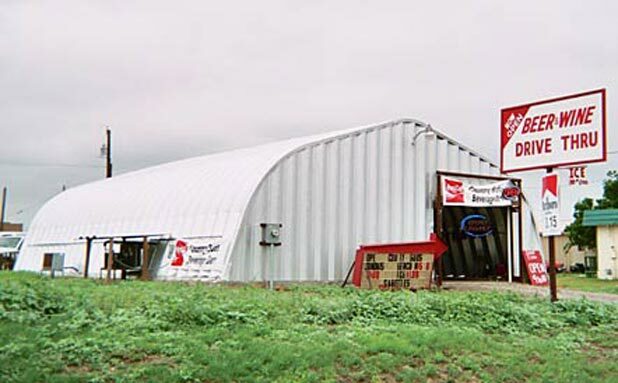 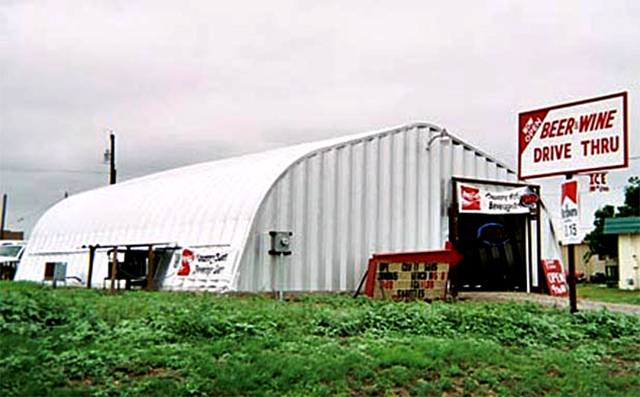 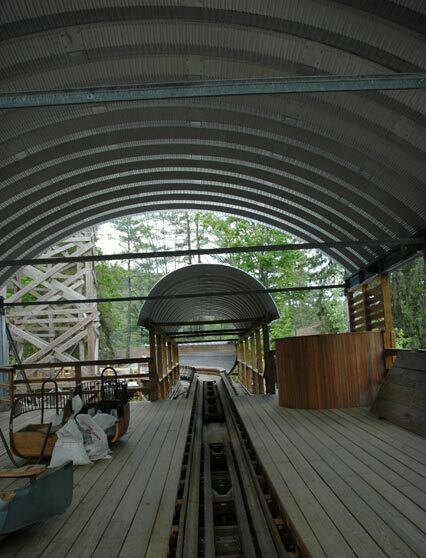 We have over 40 years of steel building experience. 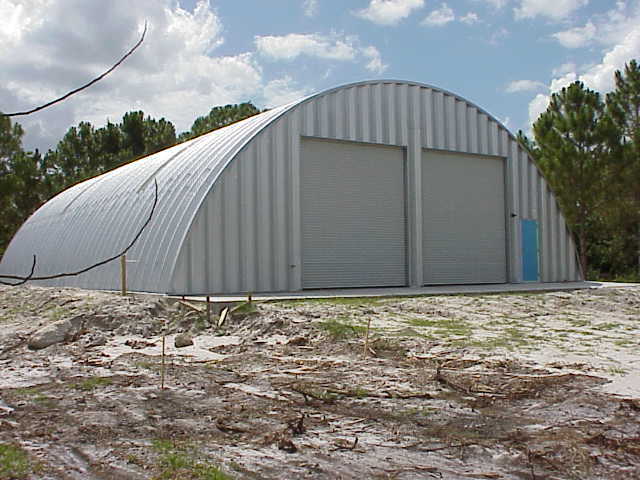 Powerbilt Prefab Steel Buildings has established itself as one of the world’s leading manufacturer’s of pre-engineered buildings. 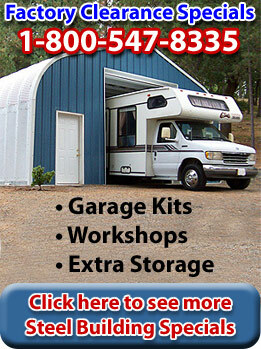 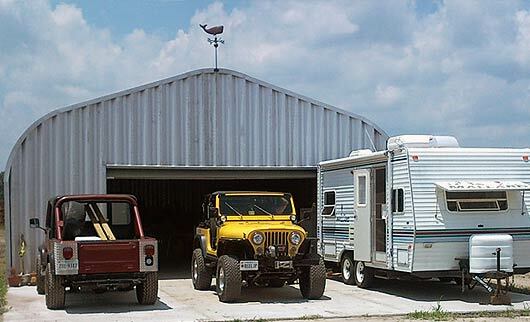 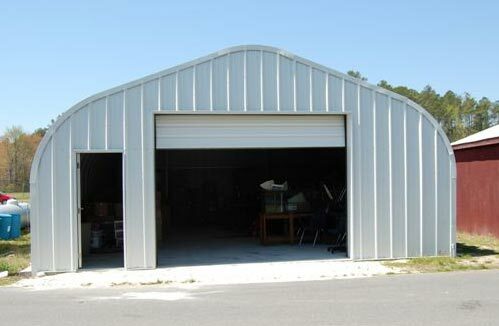 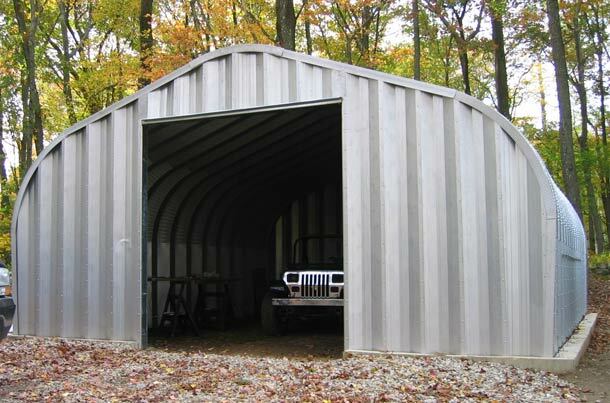 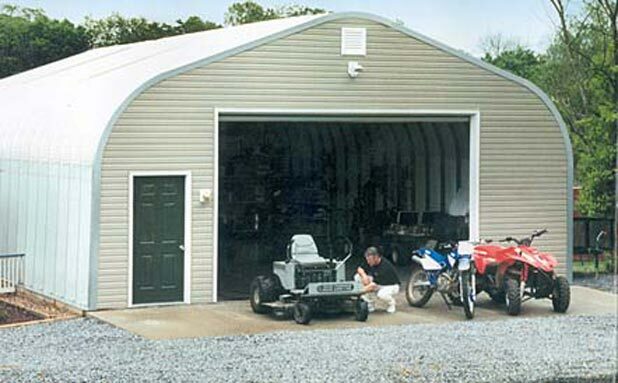 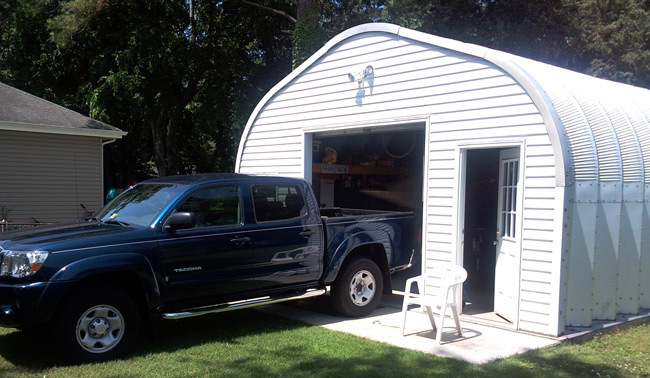 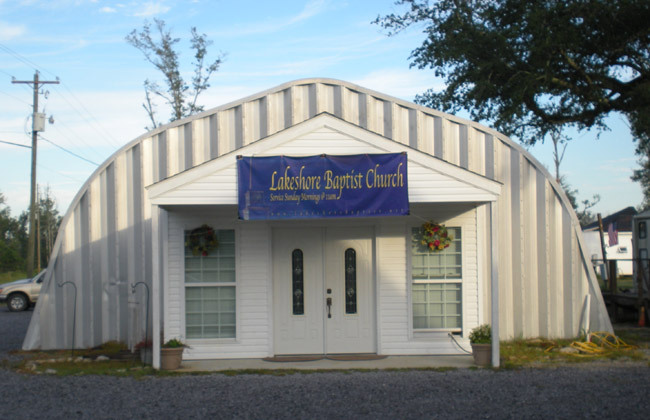 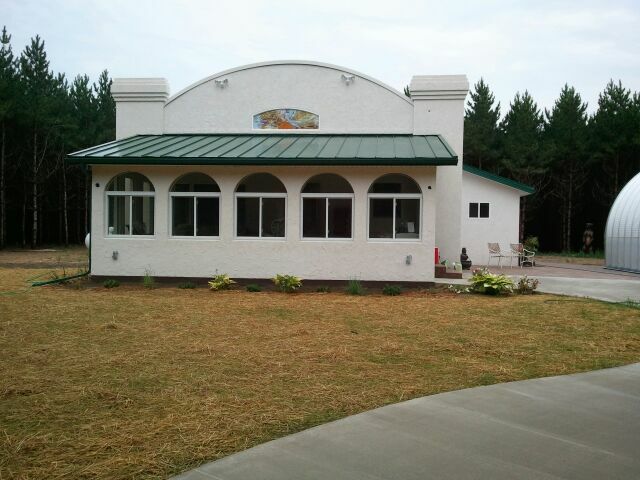 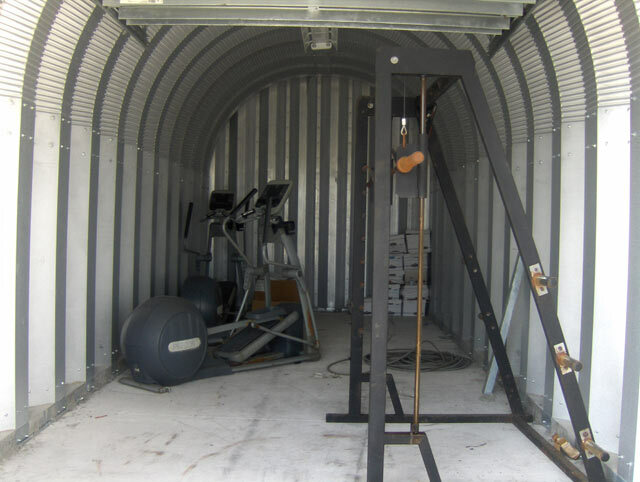 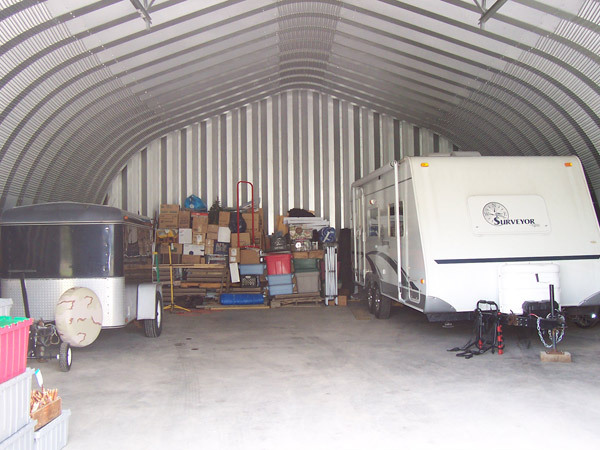 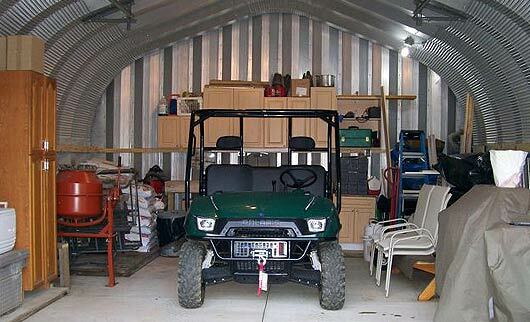 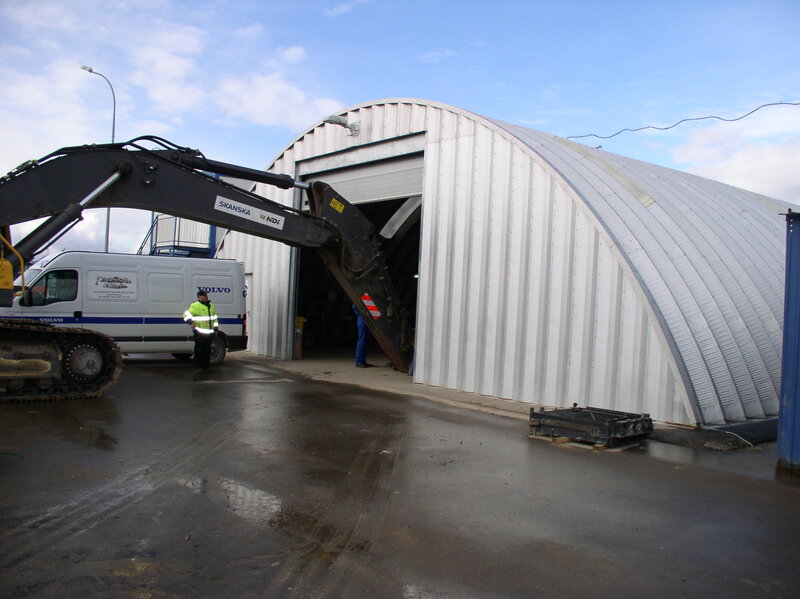 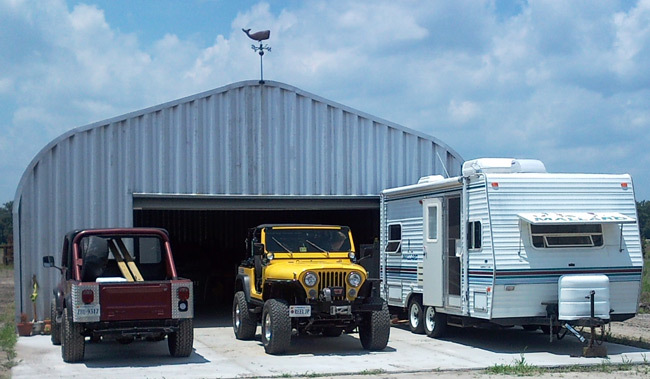 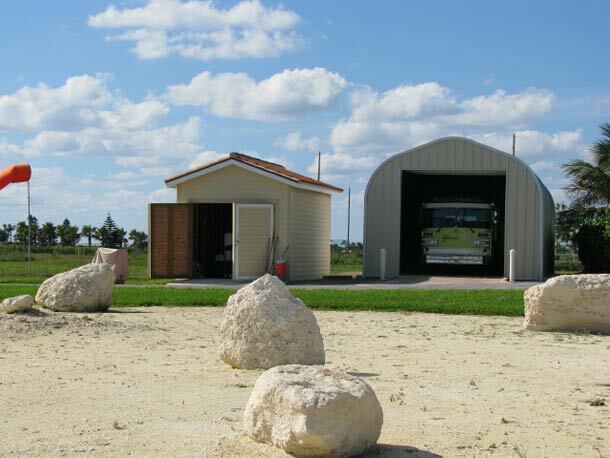 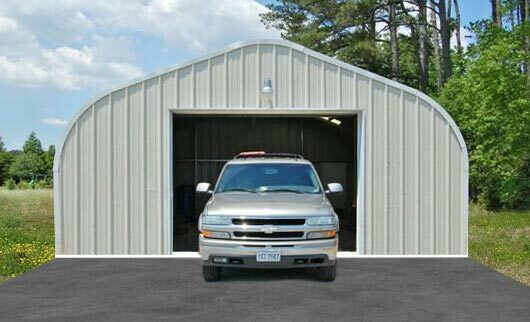 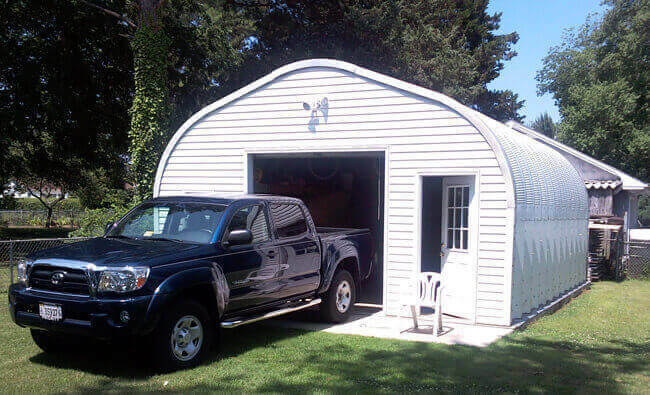 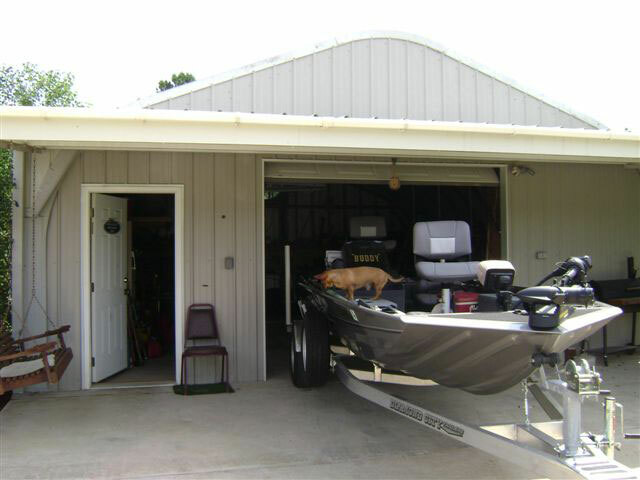 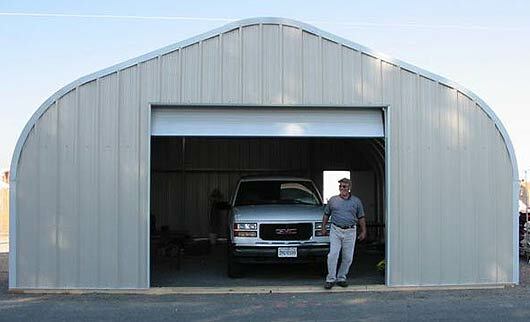 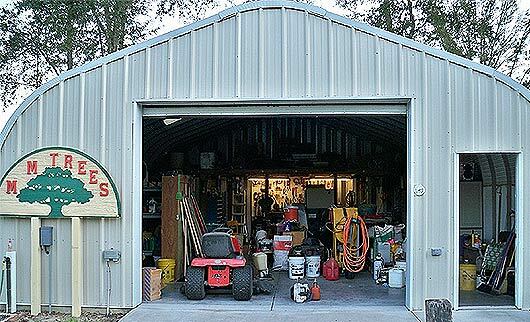 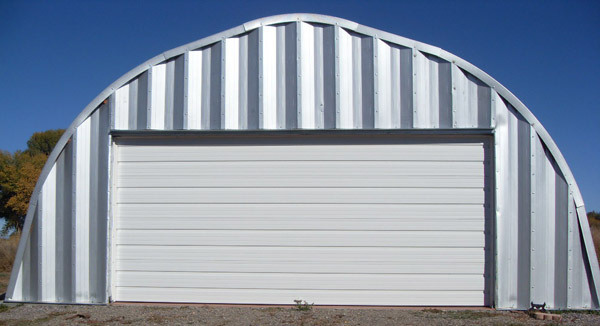 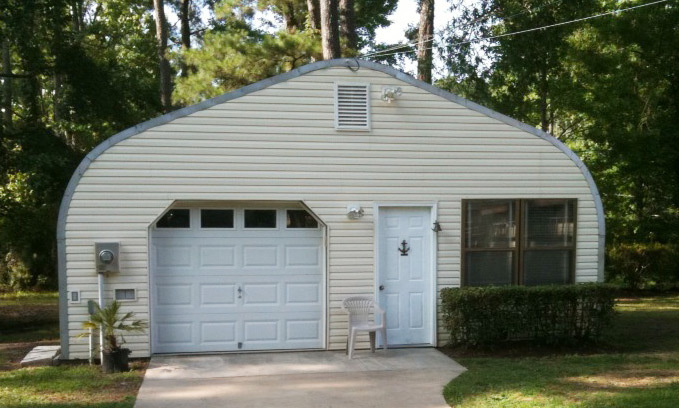 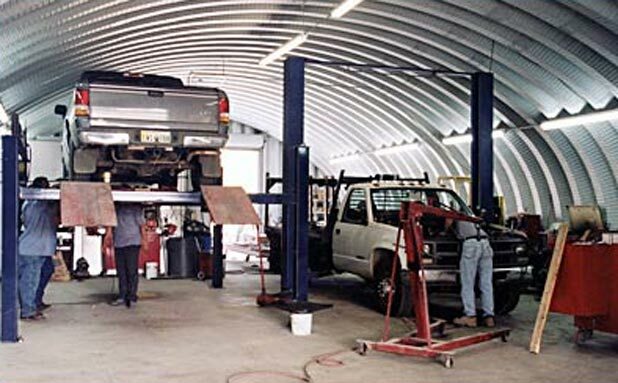 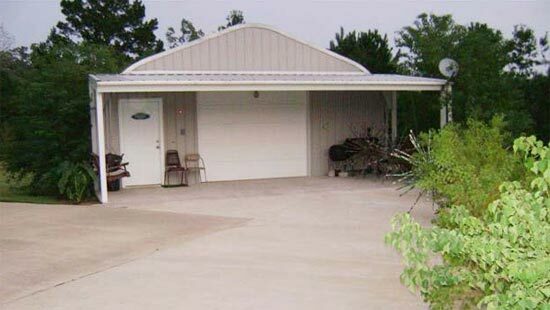 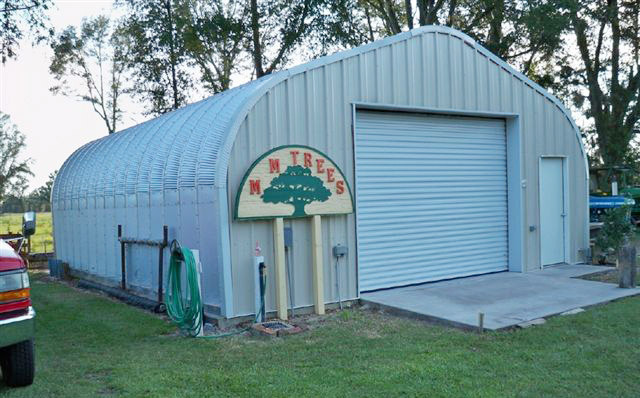 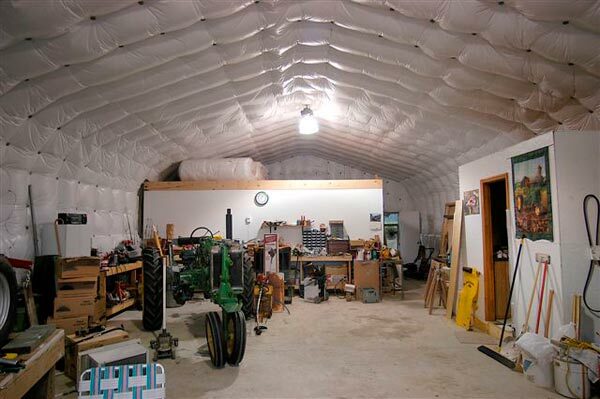 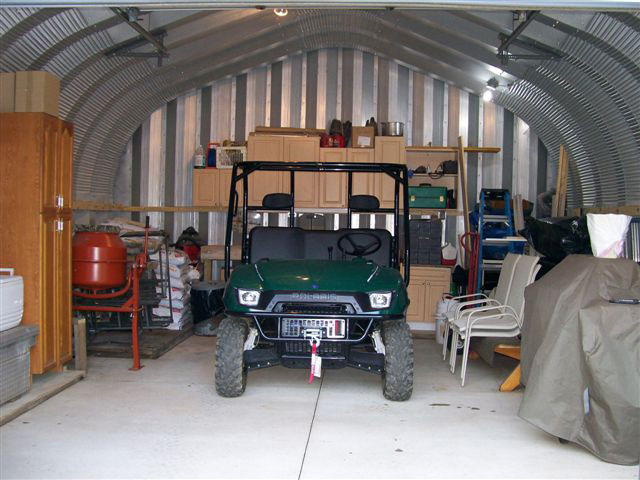 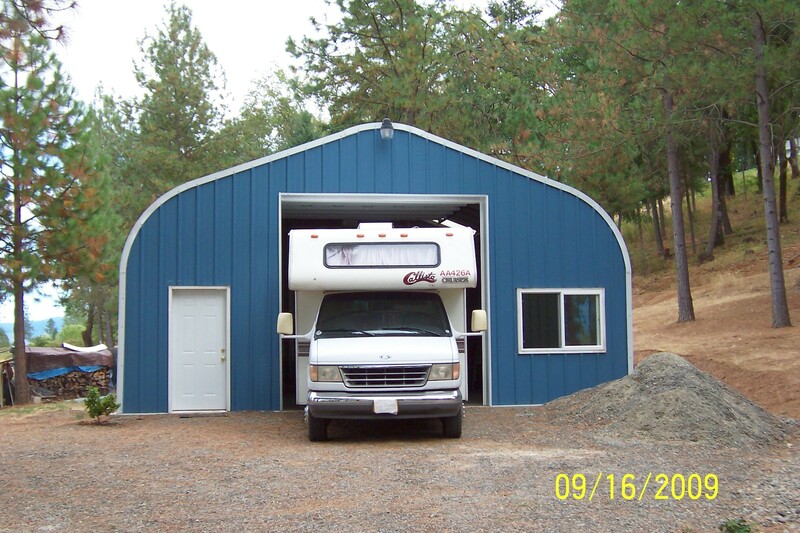 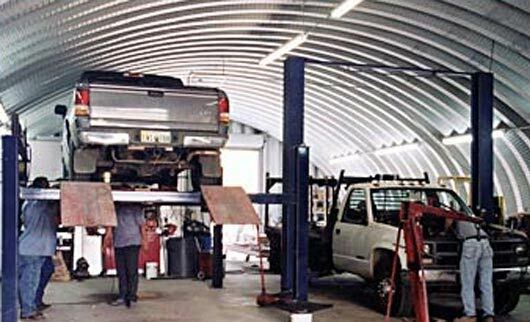 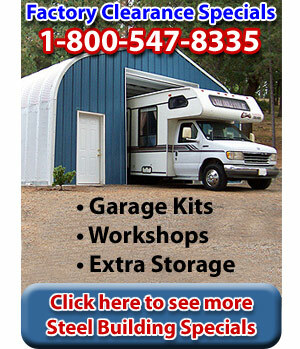 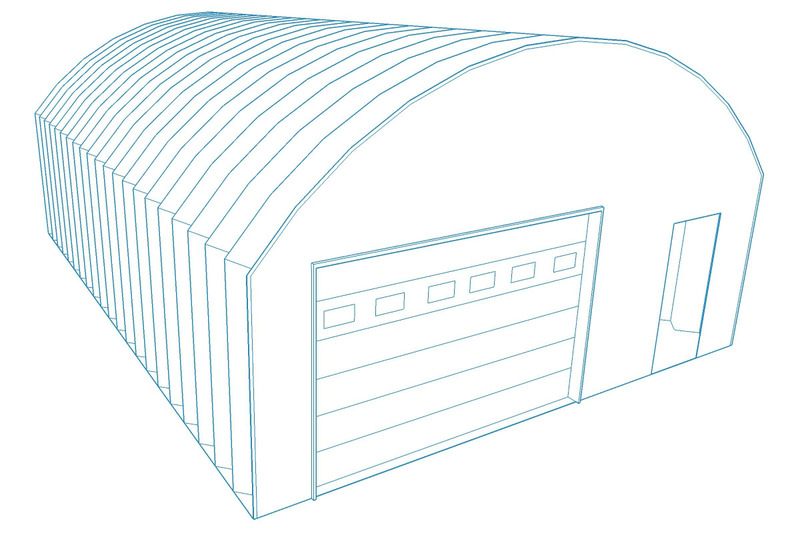 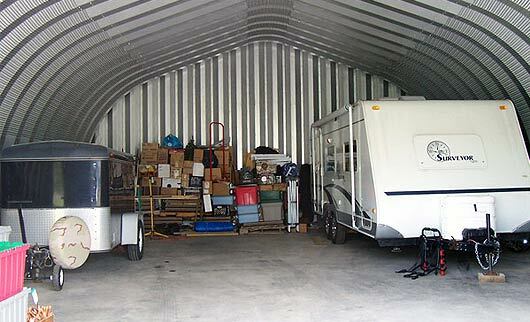 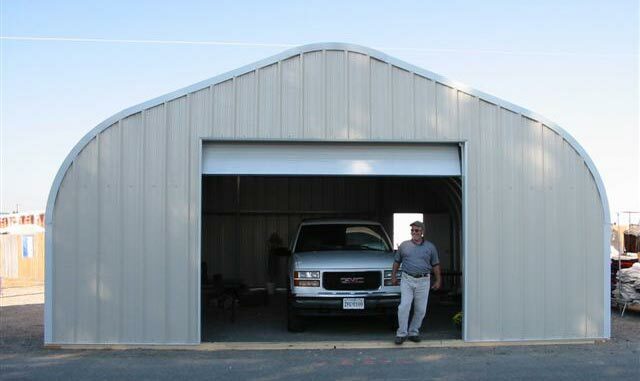 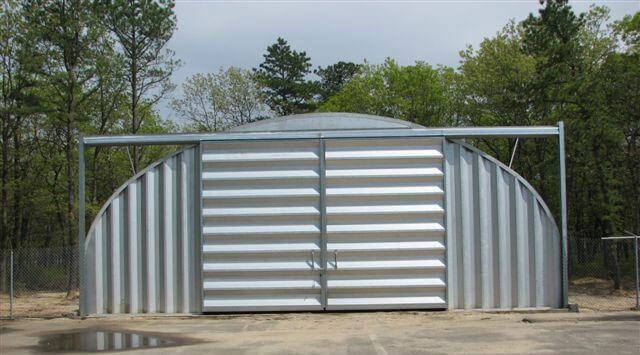 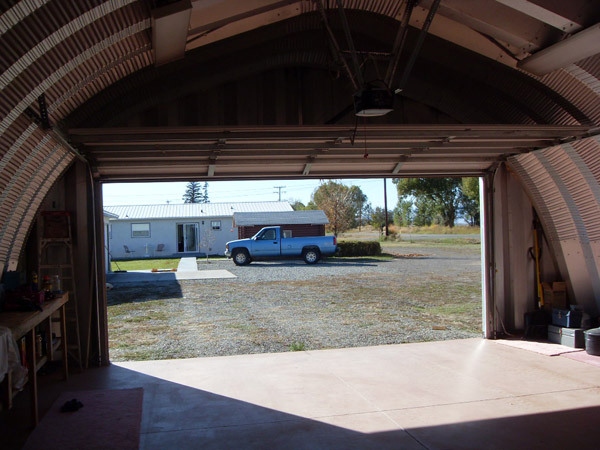 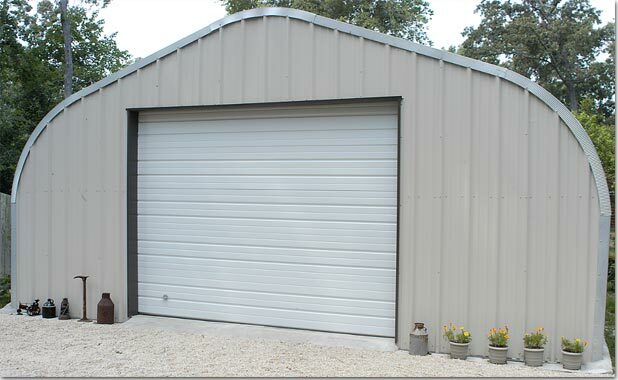 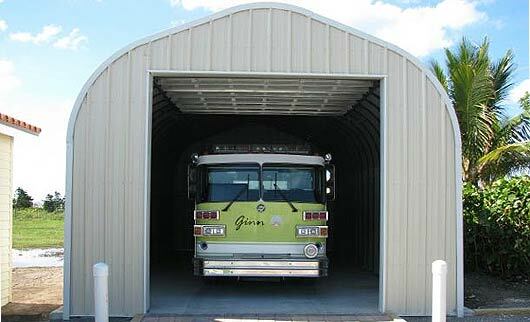 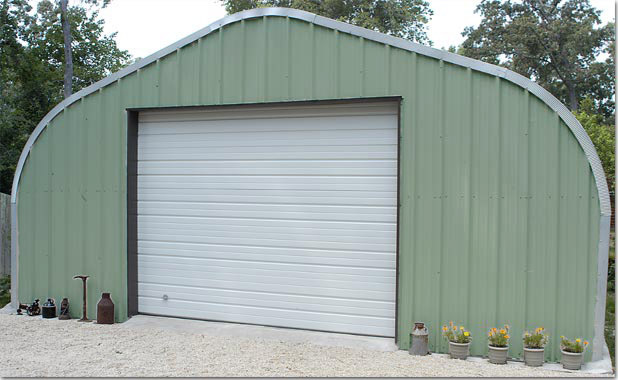 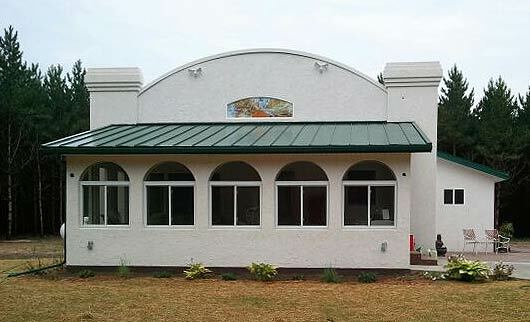 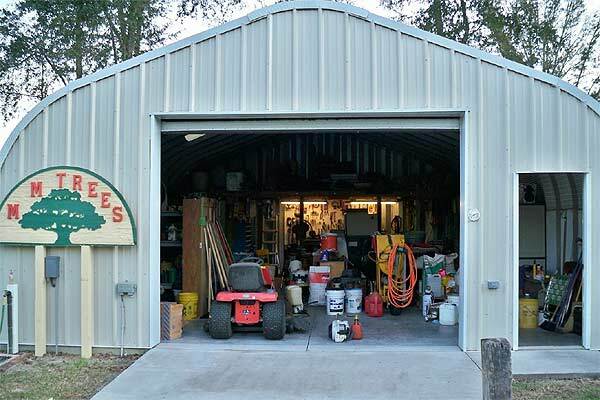 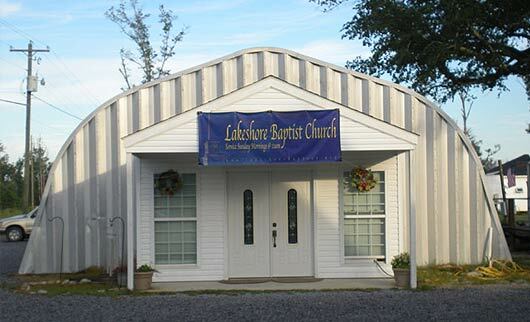 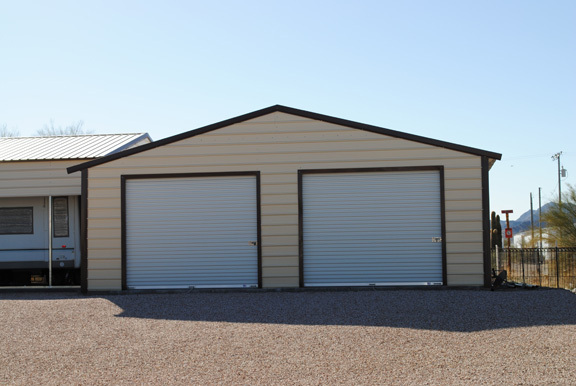 Our buildings are easy to assemble, and serve a variety of uses, including garages, metal storage sheds and a lot more. 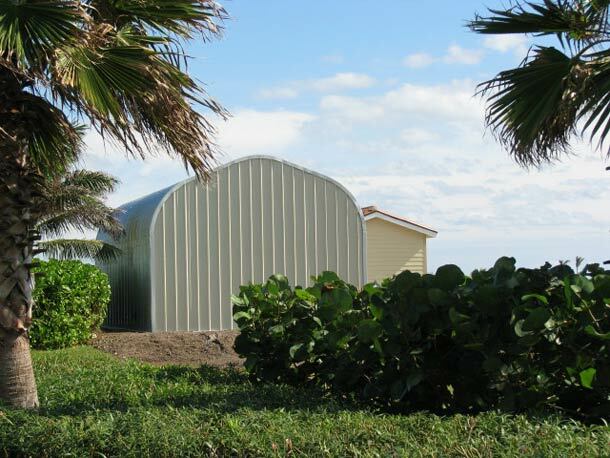 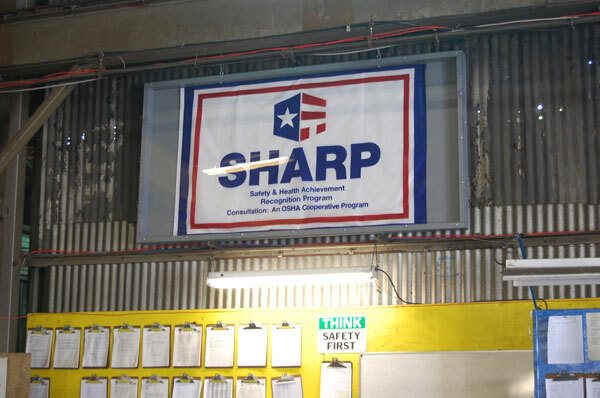 Our prefab steel buildings are 100% U.S. made steel and 100% U.S. labor. 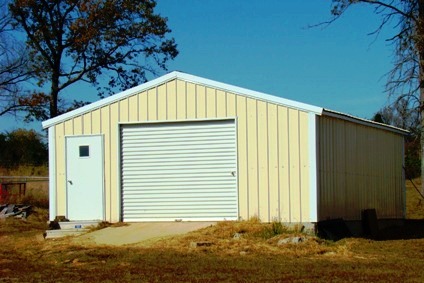 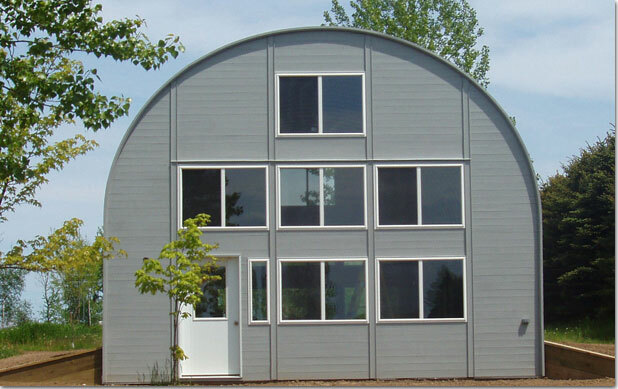 We conform to the “Buy American Act.” Our prefab steel buildings come with a 30 year rust through warranty and we offer several metal building styles to accommodate your needs. 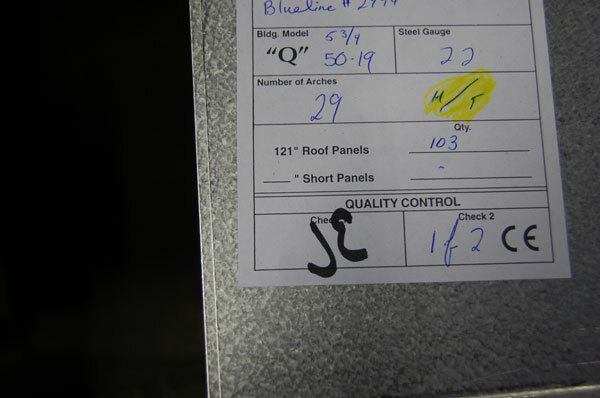 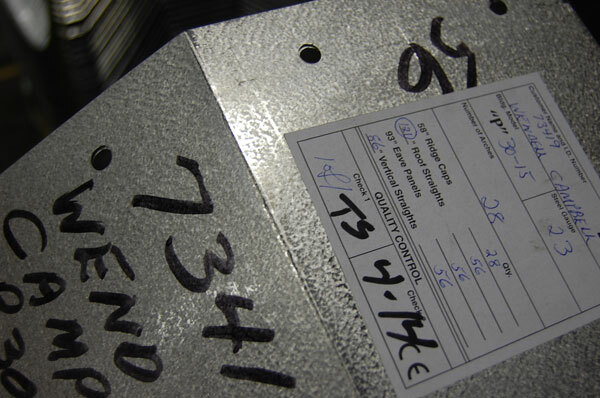 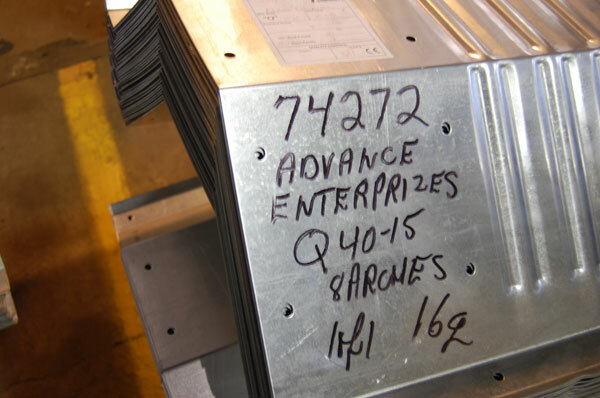 Extremely quick turnaround, your factory stamped drawings typically come in 7 days from receipt of order. 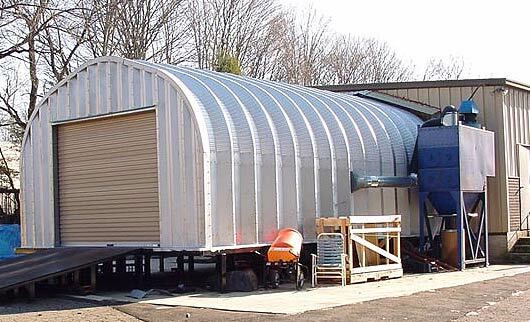 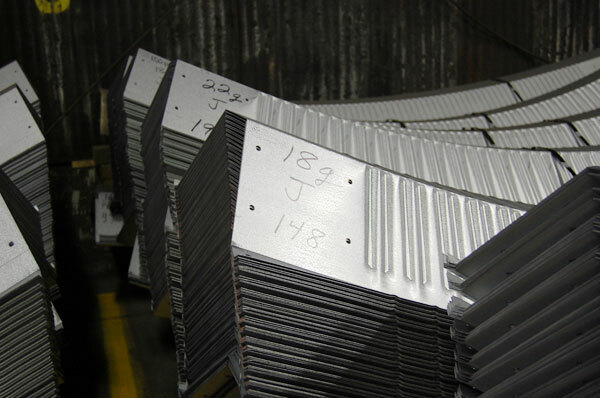 Easy scheduling, delivery and community freight of the prefab steel buildings reduce delivery costs and save you money. 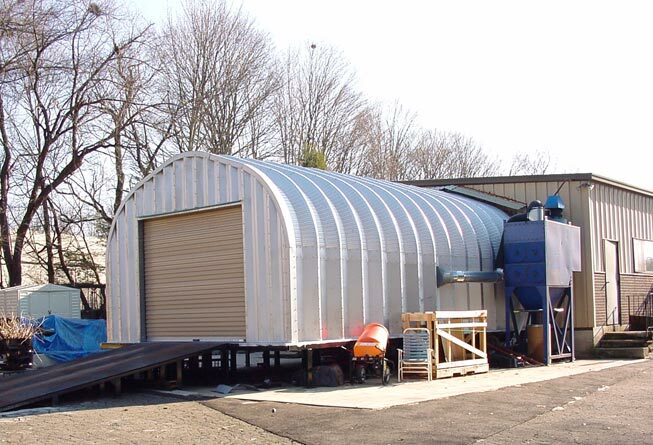 Over 40 years of metal building design and manufacturing experience producing top quality prefab steel buildings at factory direct prices. 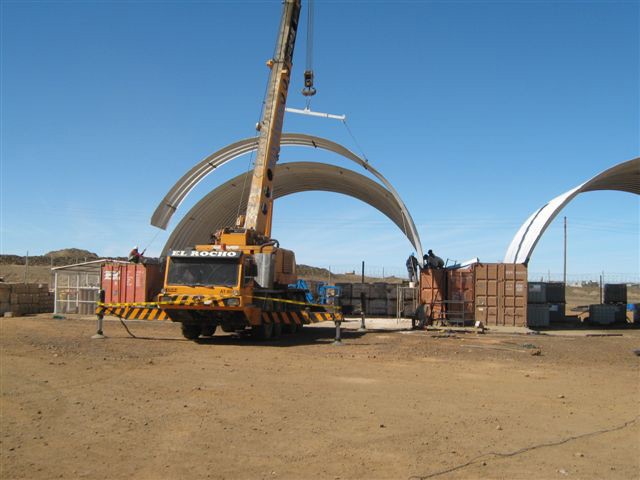 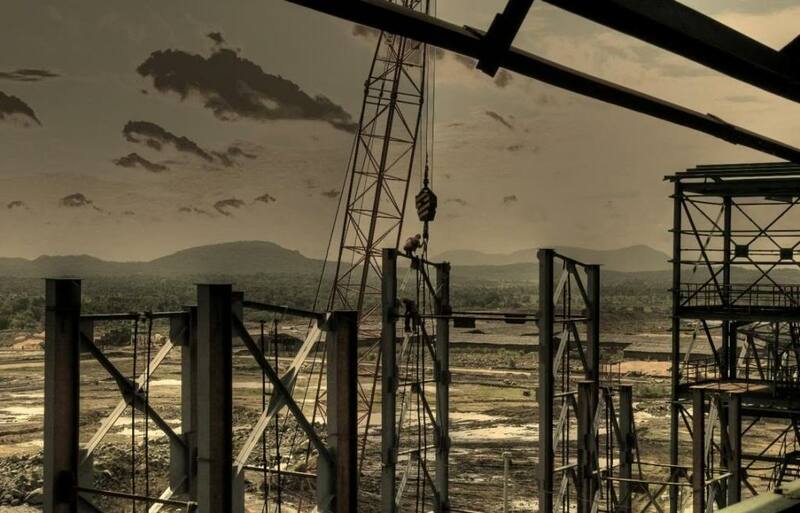 Highly trained building consultants to answer all your technical inquiries, discuss your needs and price a steel building to your specifications within 24 hours. 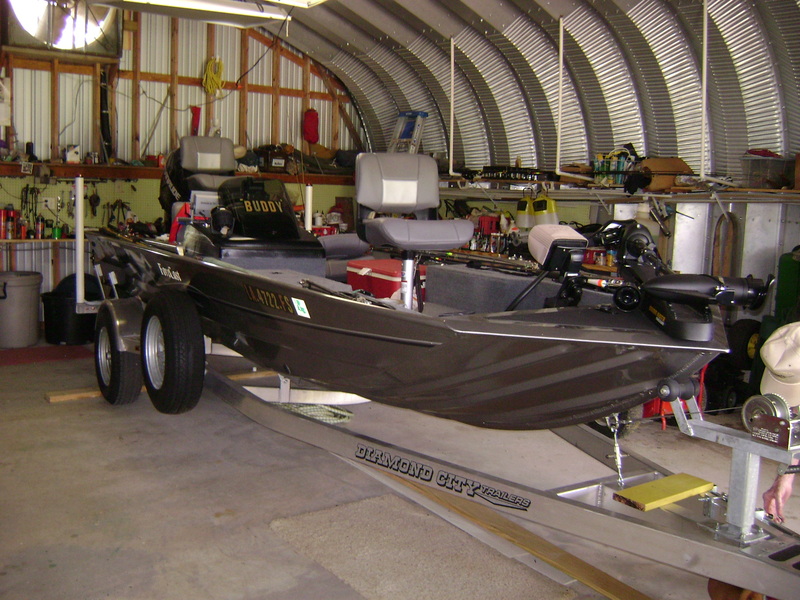 Made only from the highest quality and heaviest gauge commercial U.S. steel available in the world, there is a 30 year warranty on all the Galvalume coated parts. 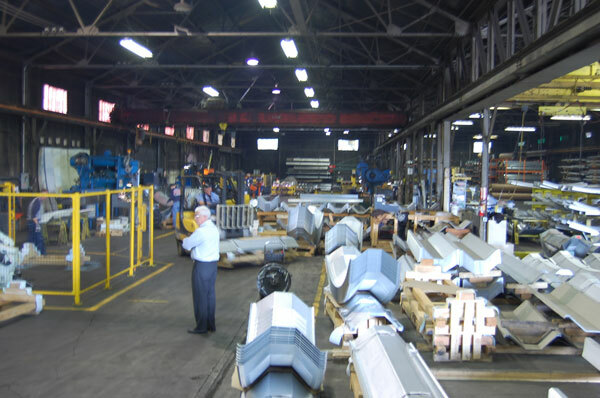 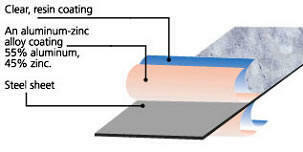 Precision manufacturing and design meeting or exceeding industry standards. 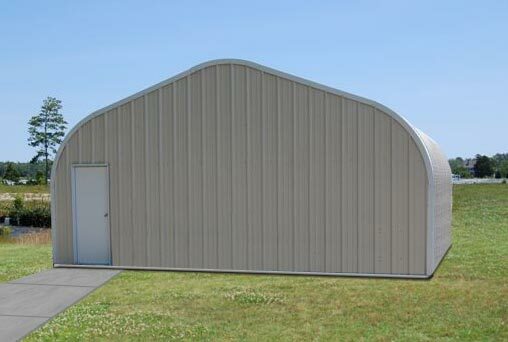 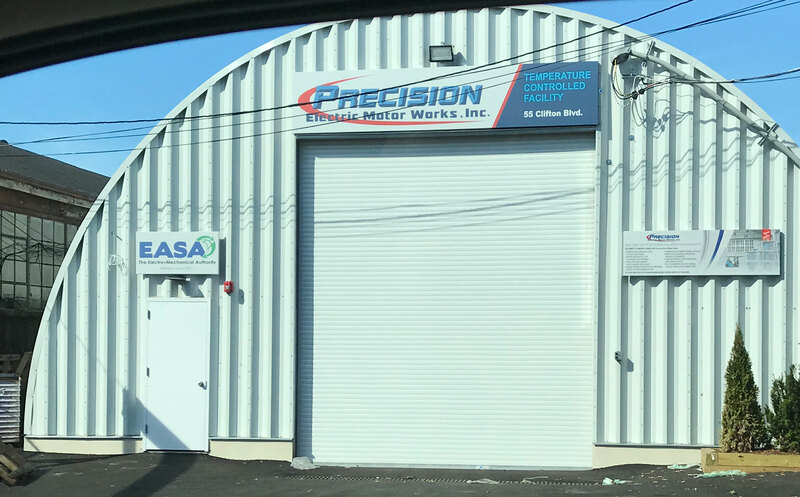 Our prefab steel buildings are 100% made in the USA using only the highest grade U.S. commercial steel to ensure the best quality and workmanship available. 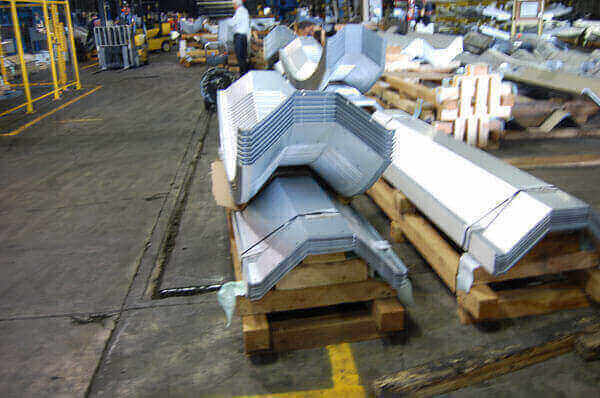 Delivered Factory Direct to your Site. 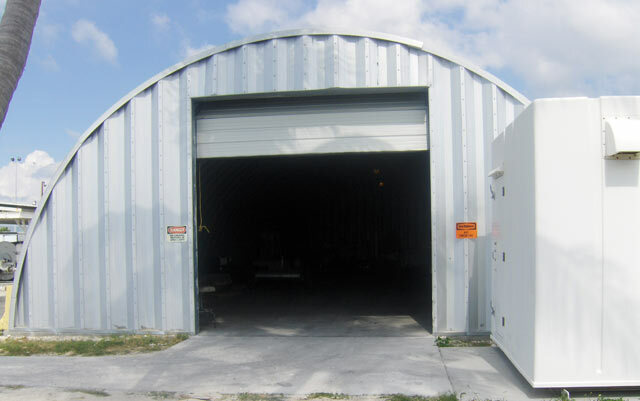 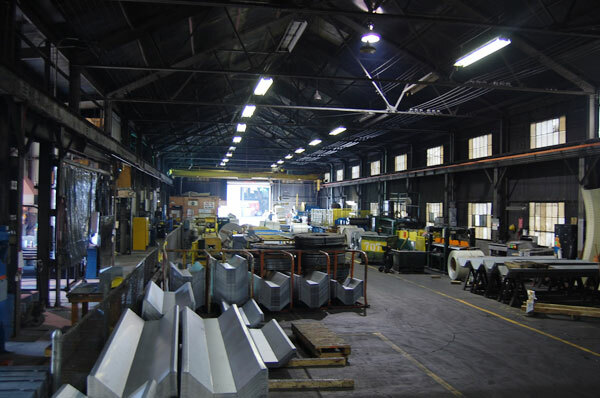 Powerbilt Steel Buildings is dedicated to delivering the highest quality prefab steel buildings and providing unsurpassed service at factory direct prices on all buildings. 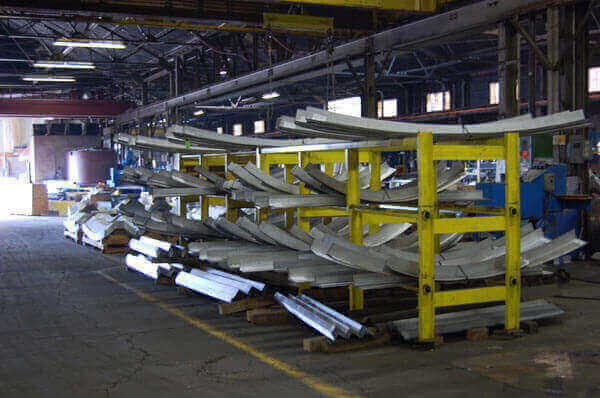 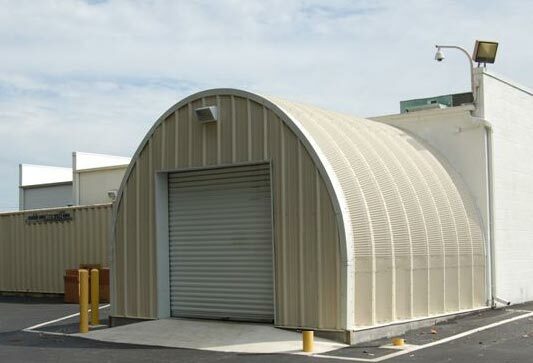 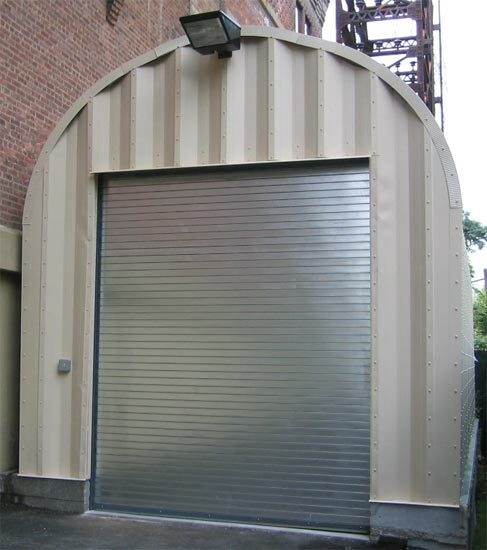 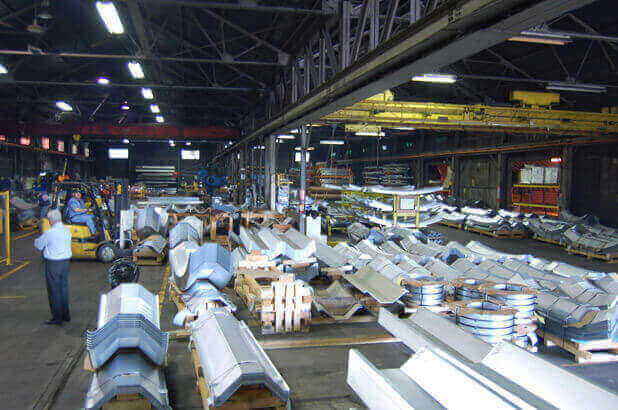 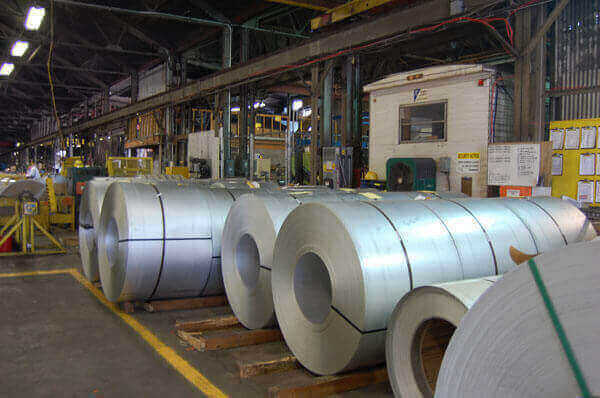 Call +1 (800) 547-8335 today for building specials on all our government and military steel buildings or request an online quote. 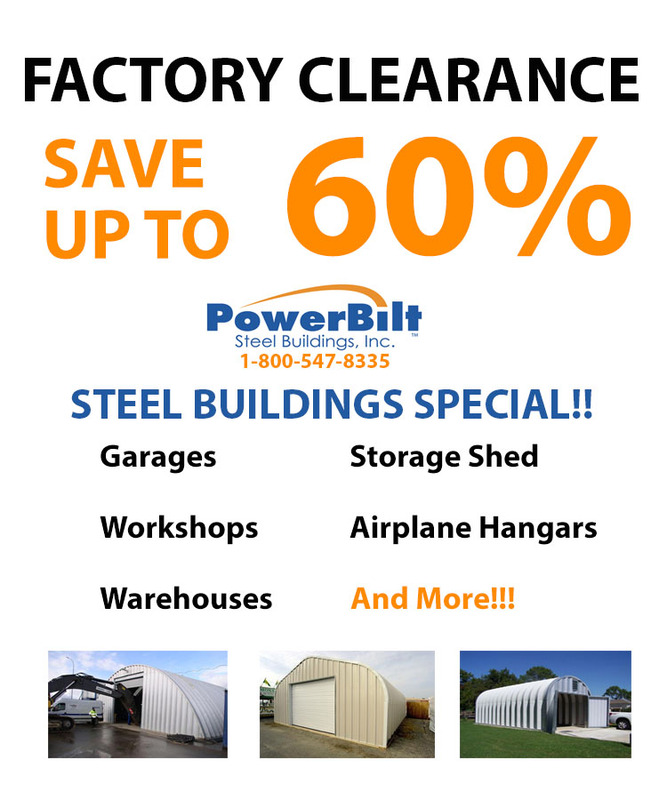 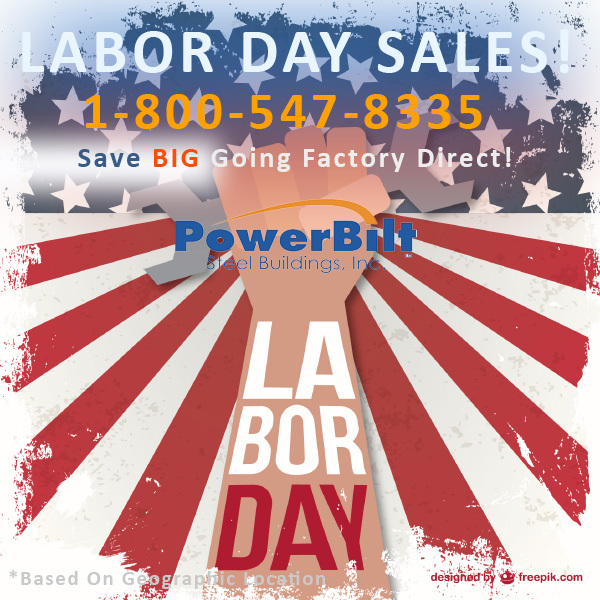 SUPPORT THE AMERICAN WORKFORCE…LET POWERBILT SUPPLY YOUR NEW STEEL BUILDING TODAY!